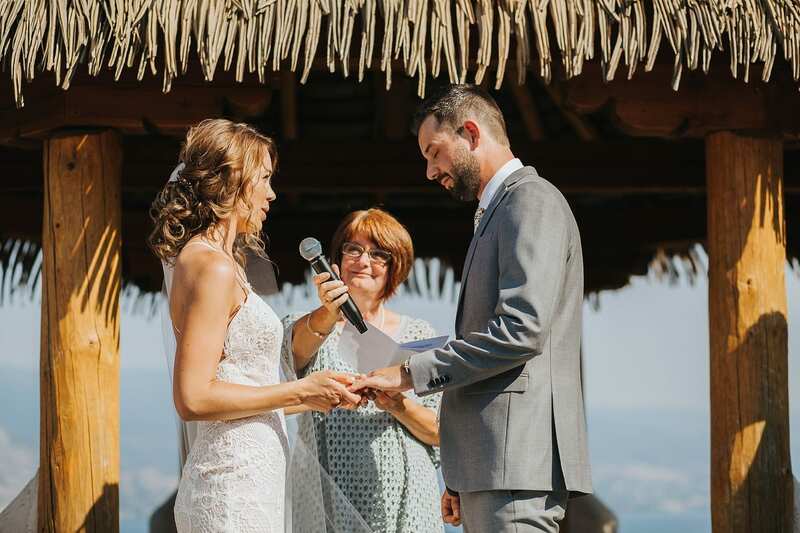 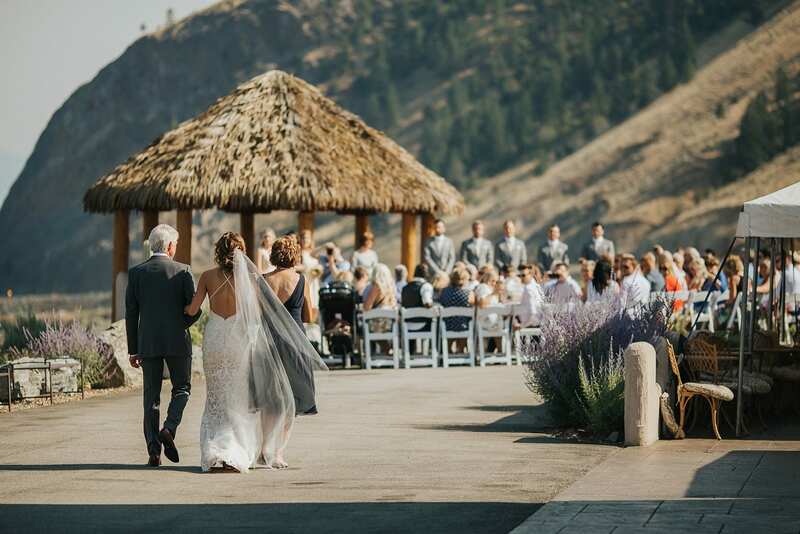 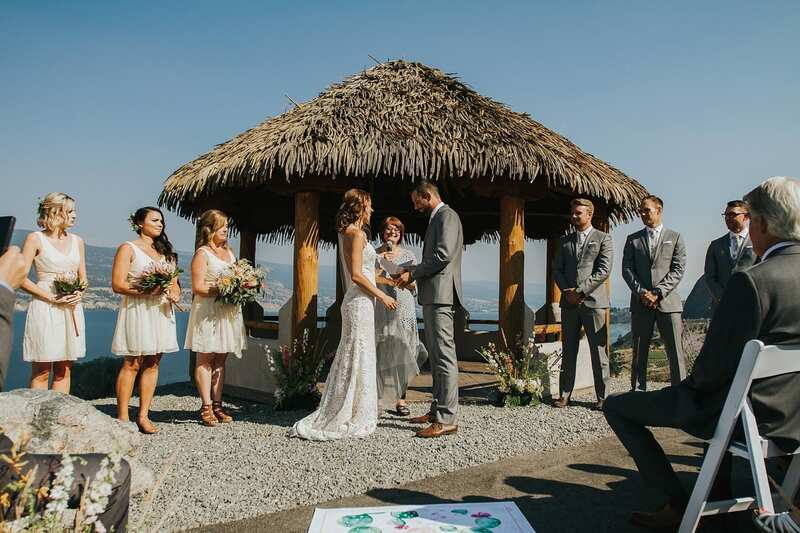 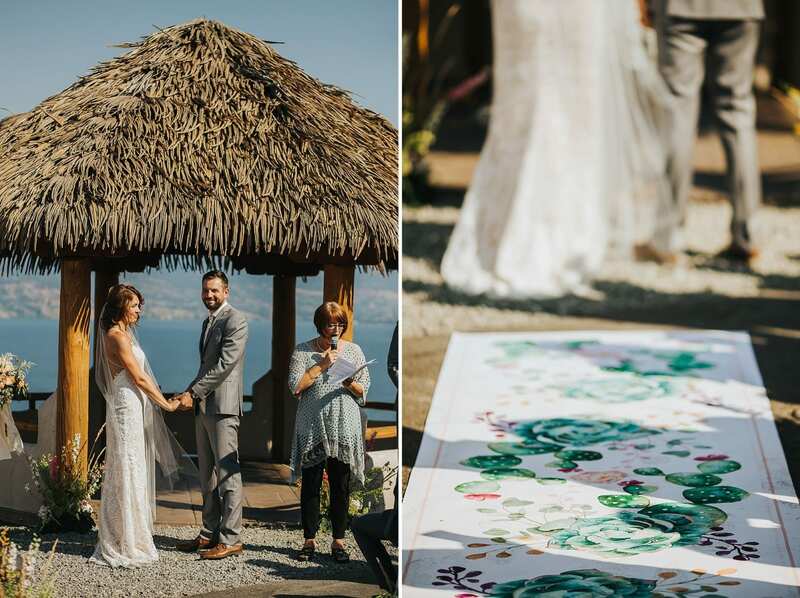 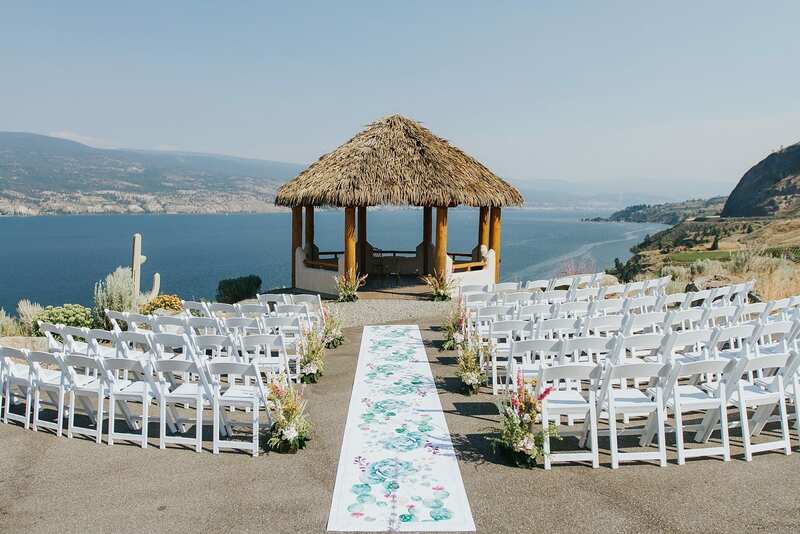 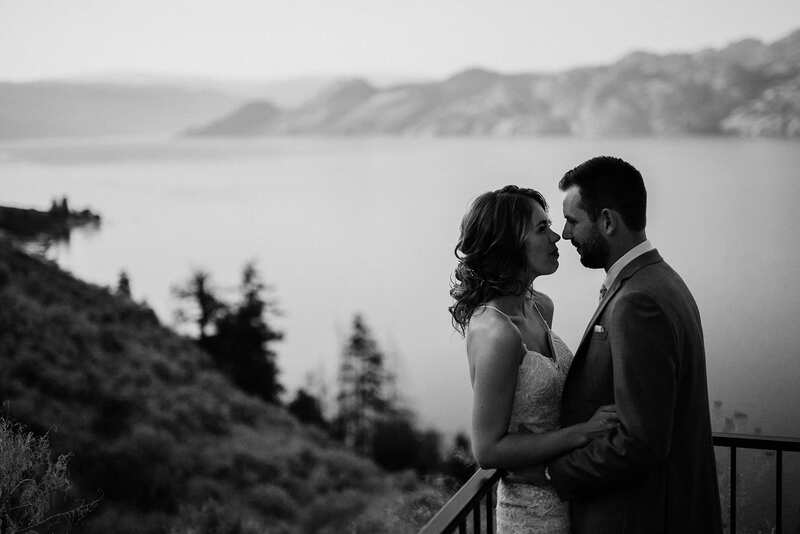 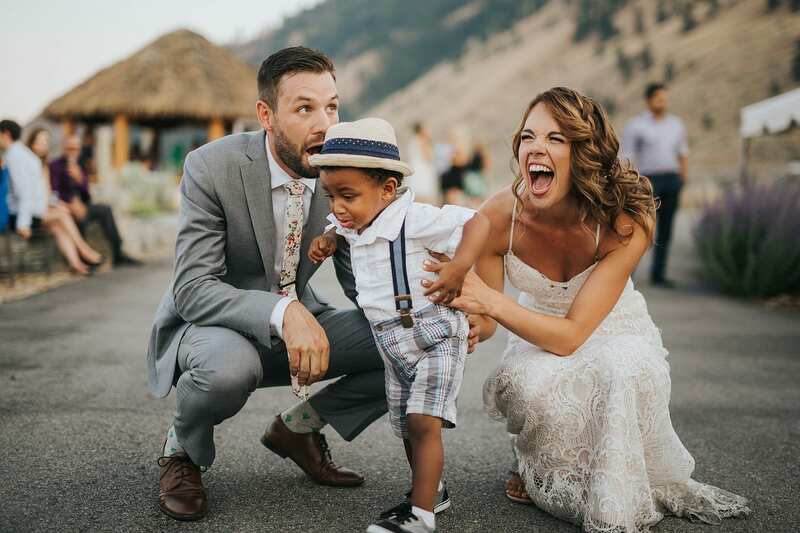 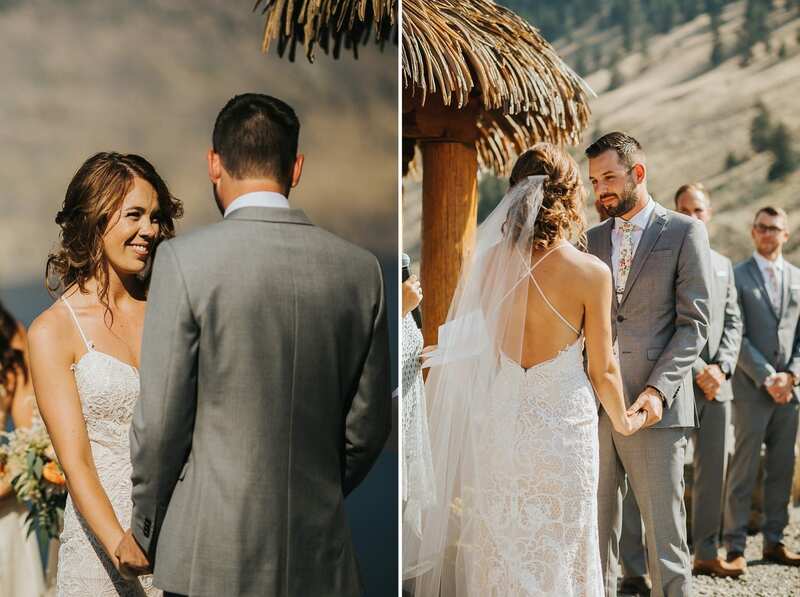 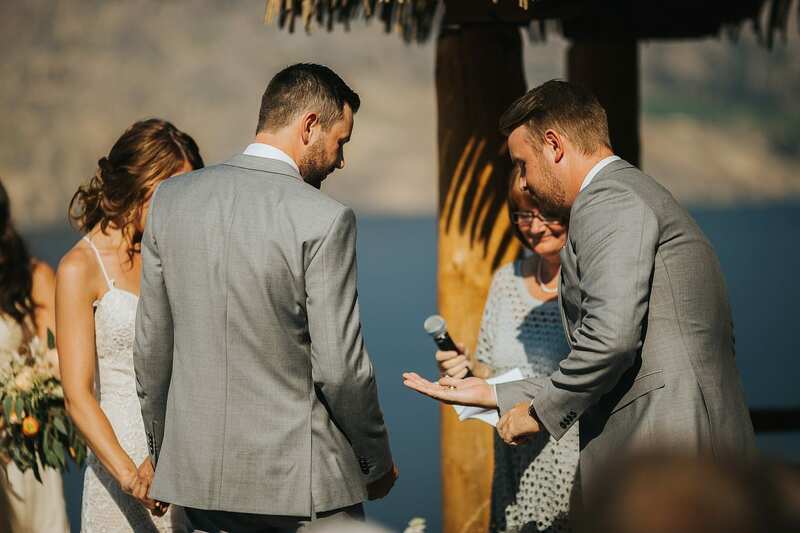 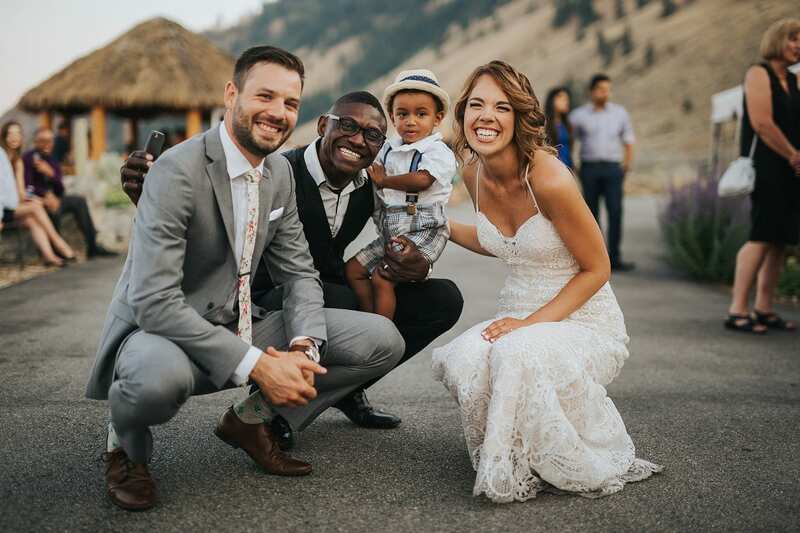 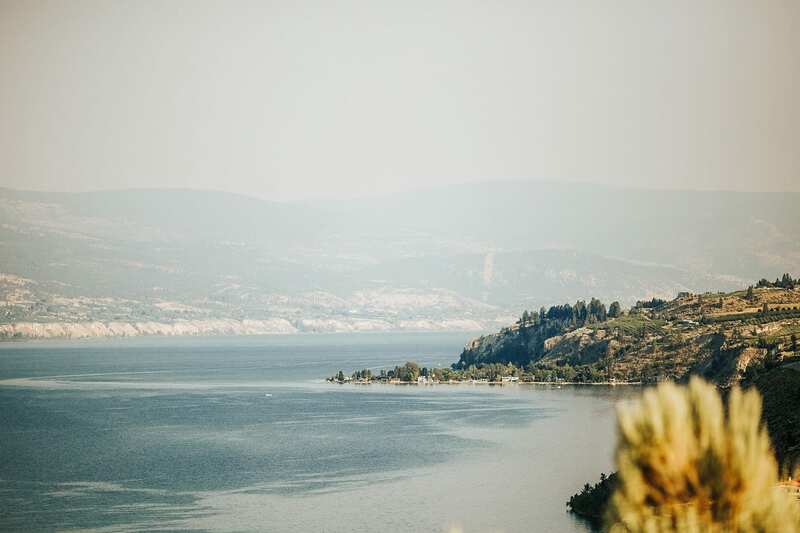 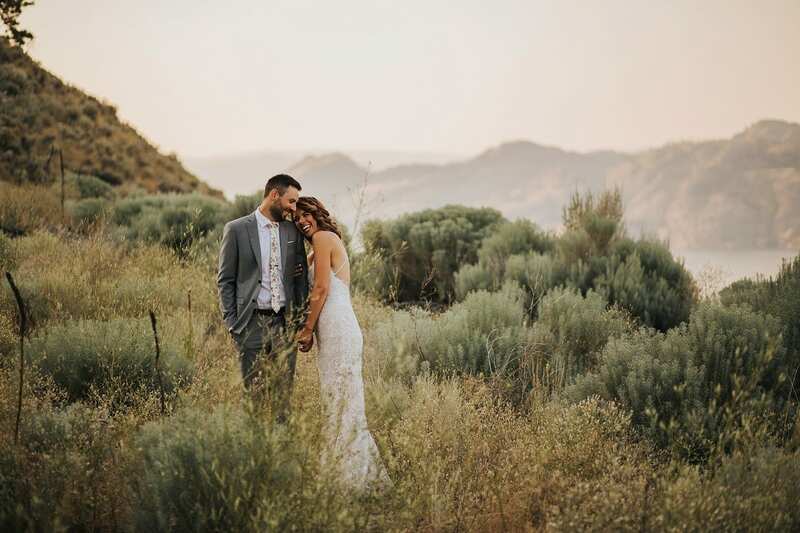 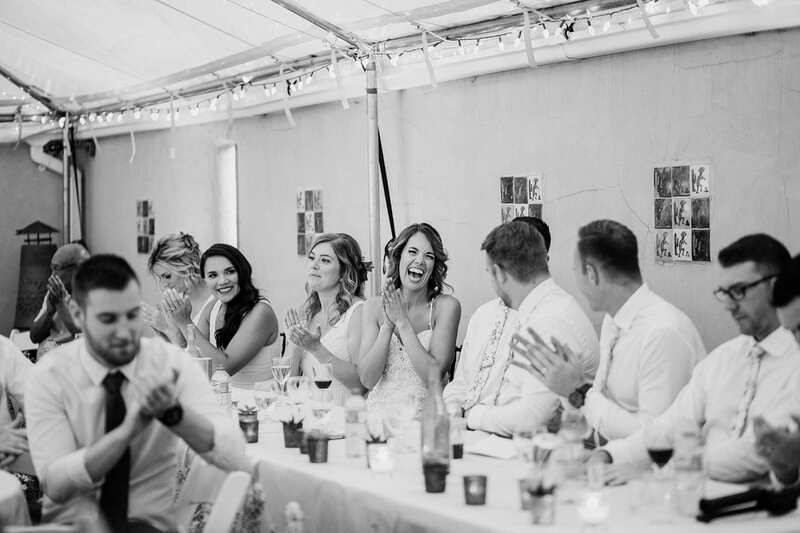 This La Punta Norte Wedding in Summerland, BC cemented La Punta Norte as one of our favourite venues for wedding photography in the Okanagan! 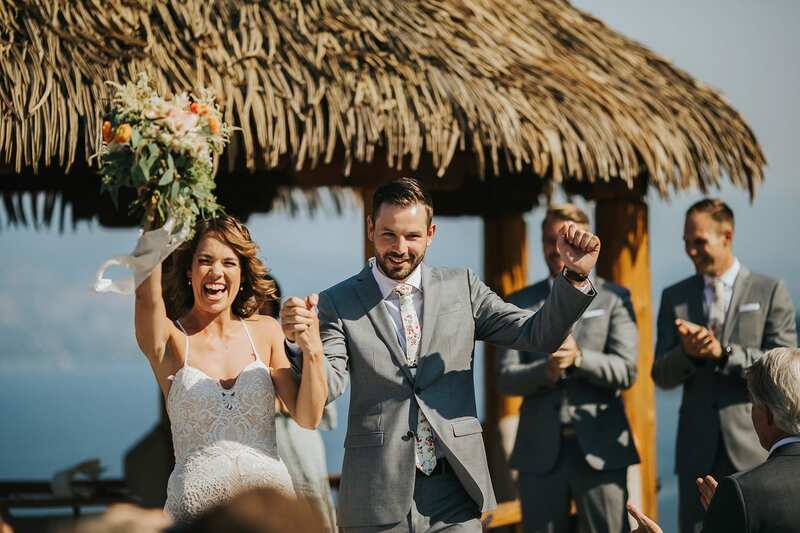 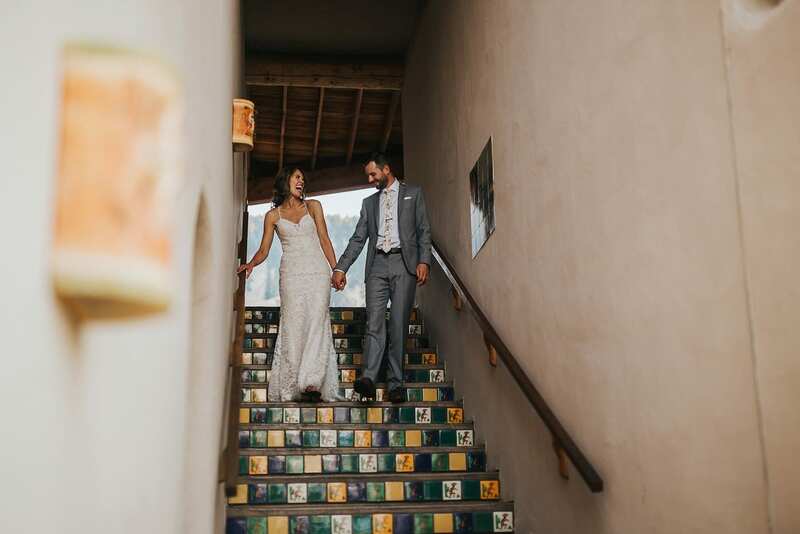 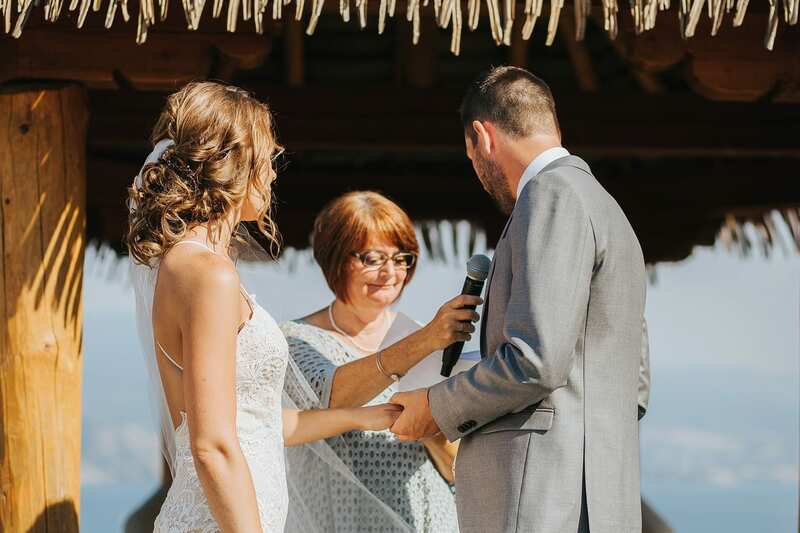 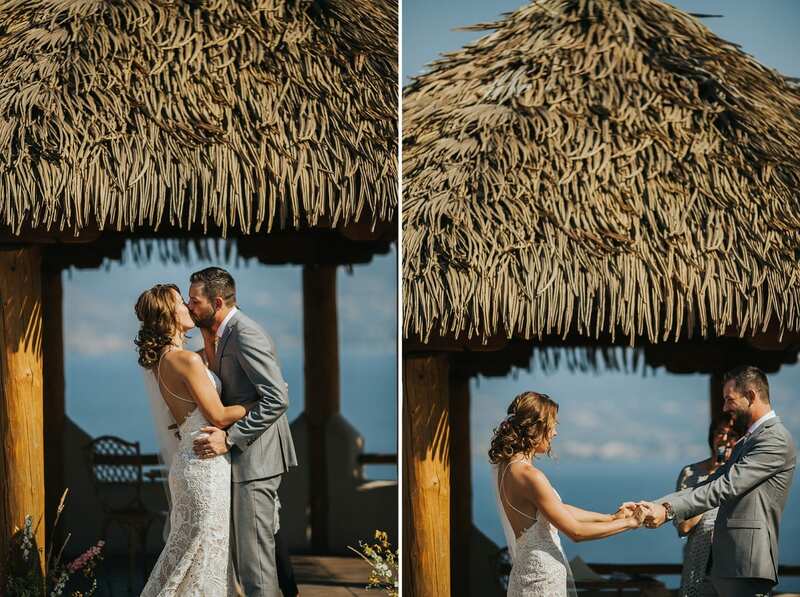 La Punta Norte’s adobe flair and incredible views make it a wonderful place for your wedding ceremony. 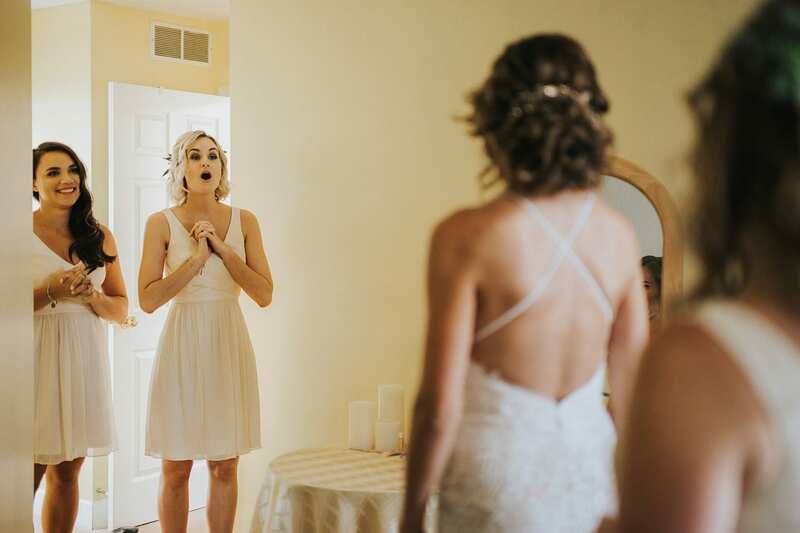 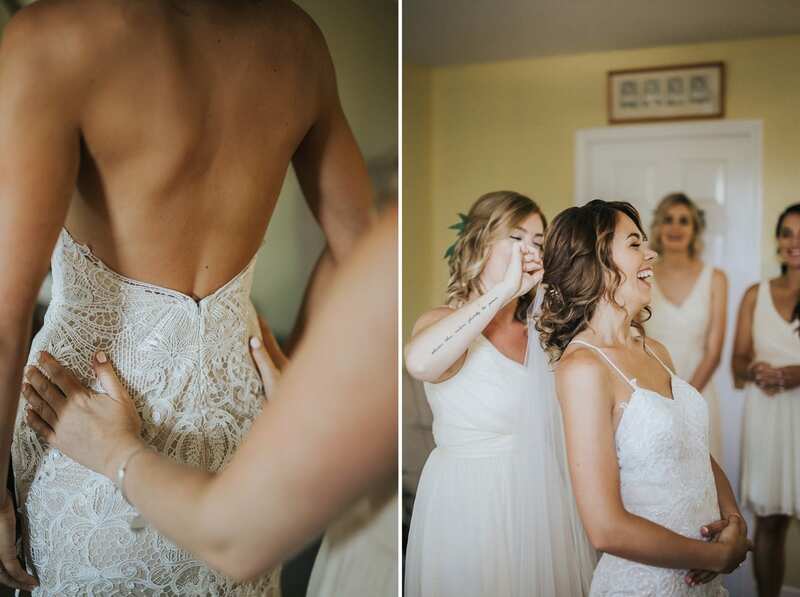 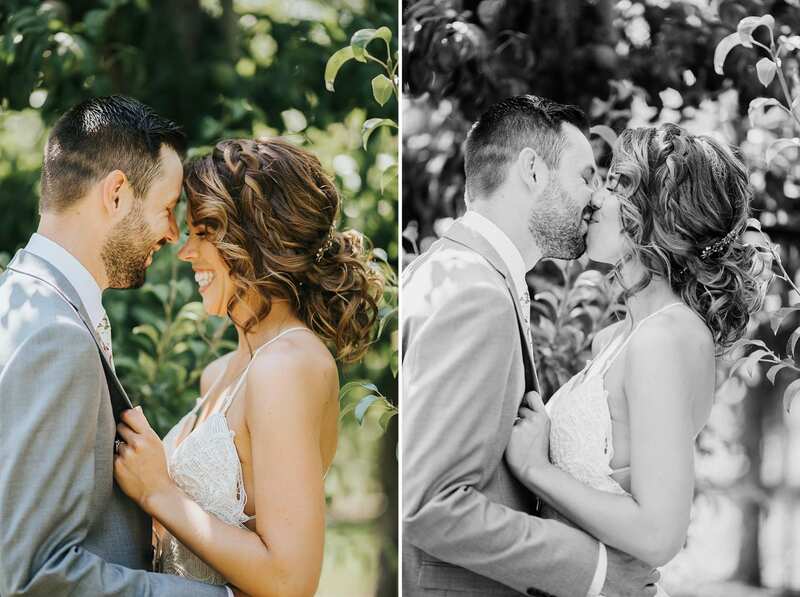 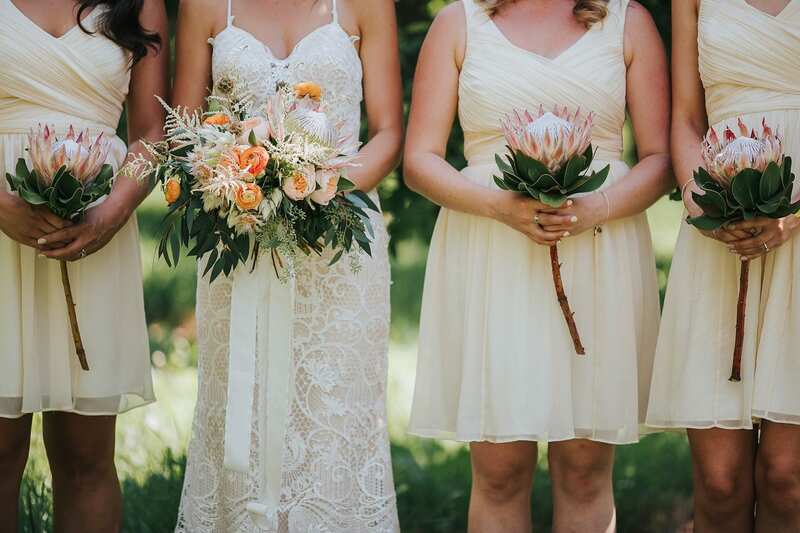 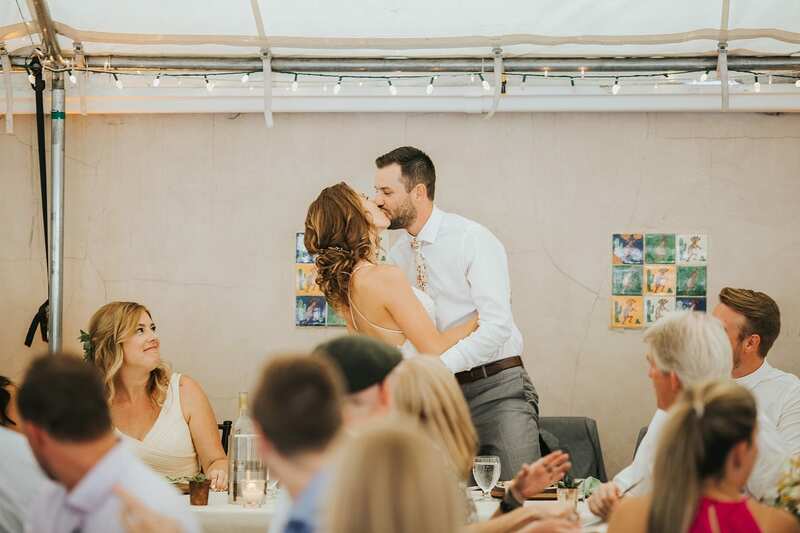 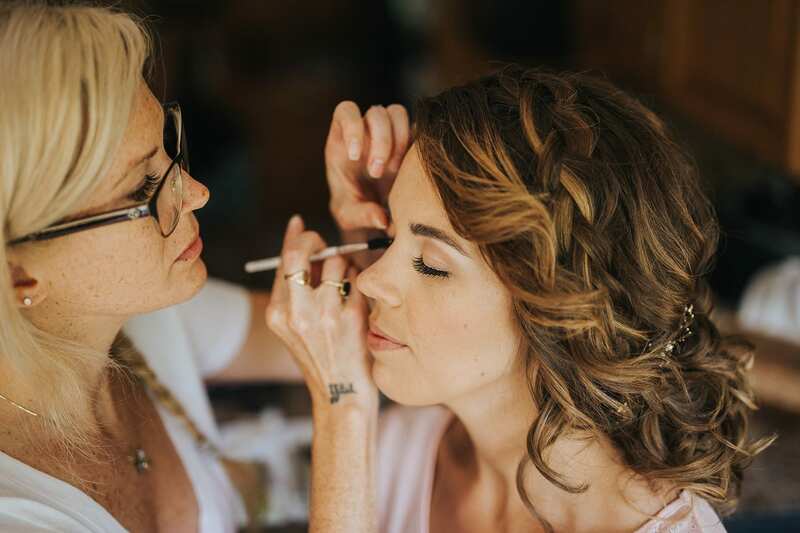 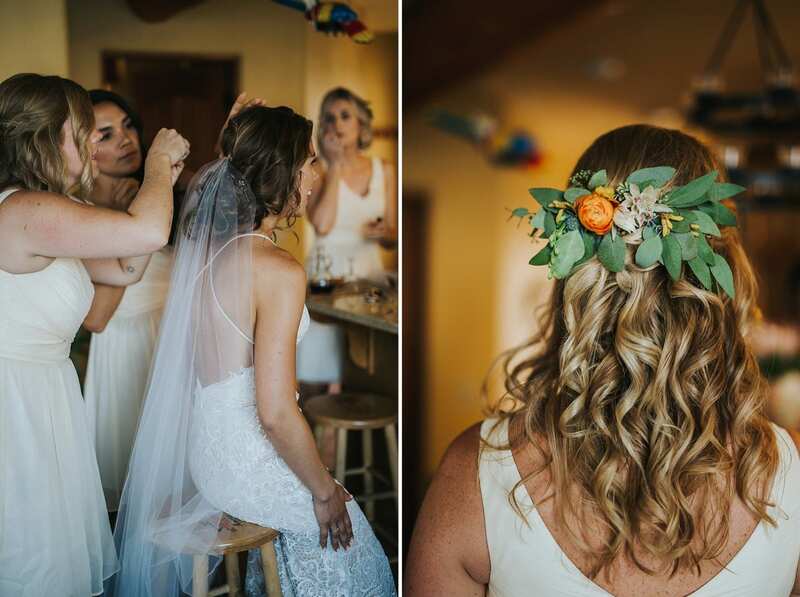 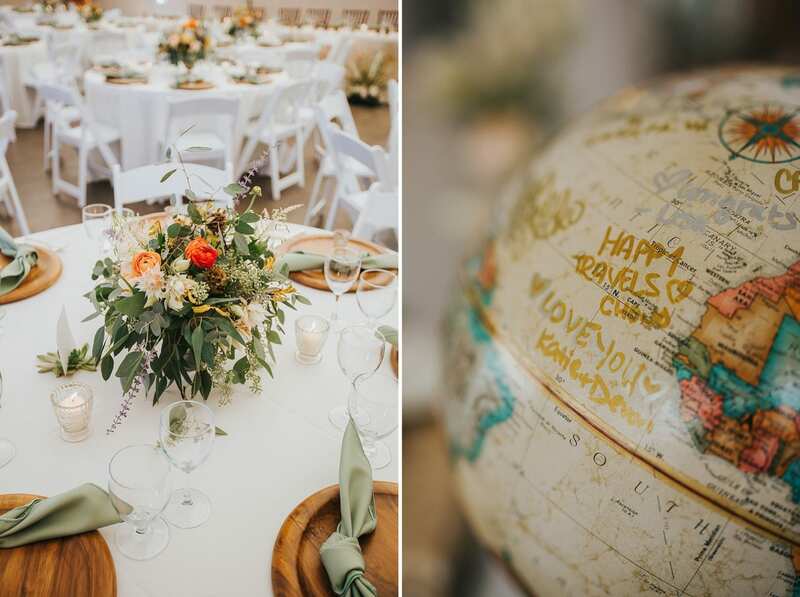 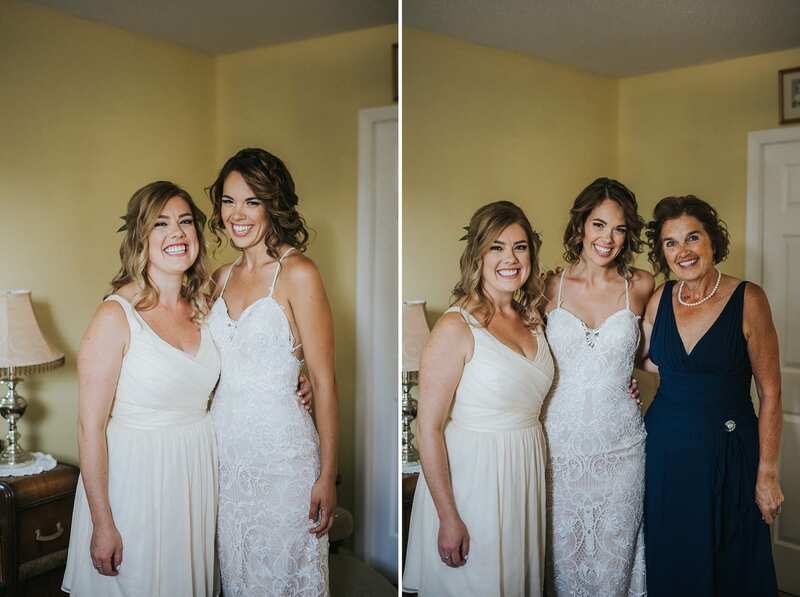 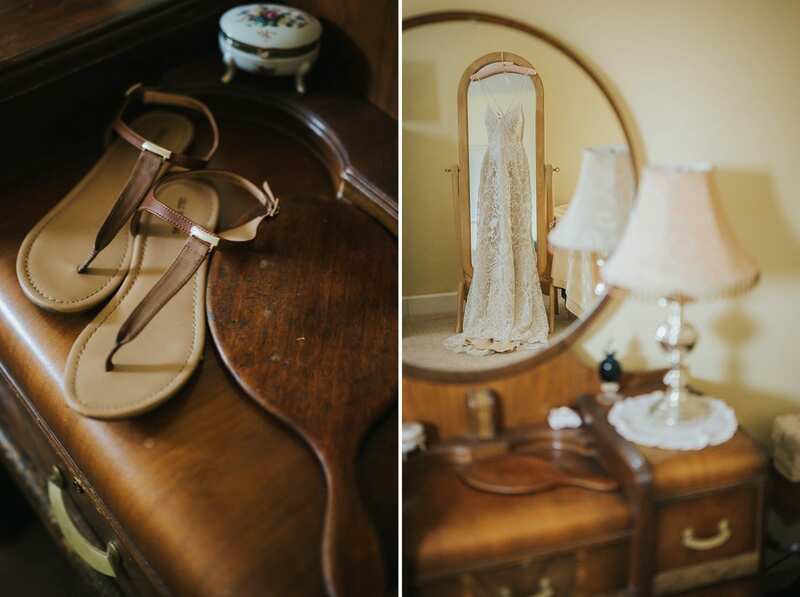 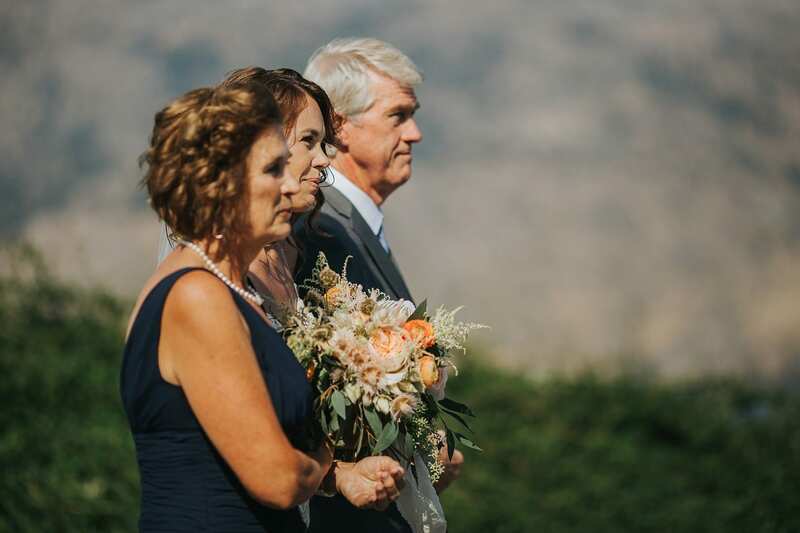 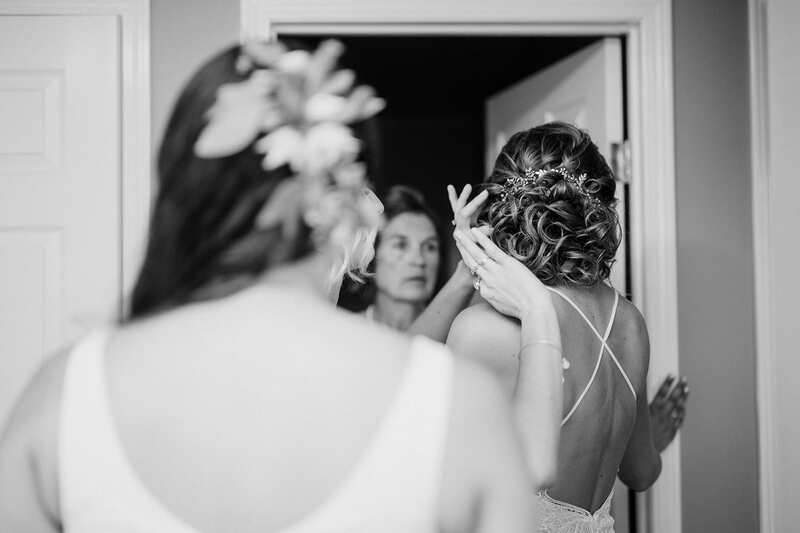 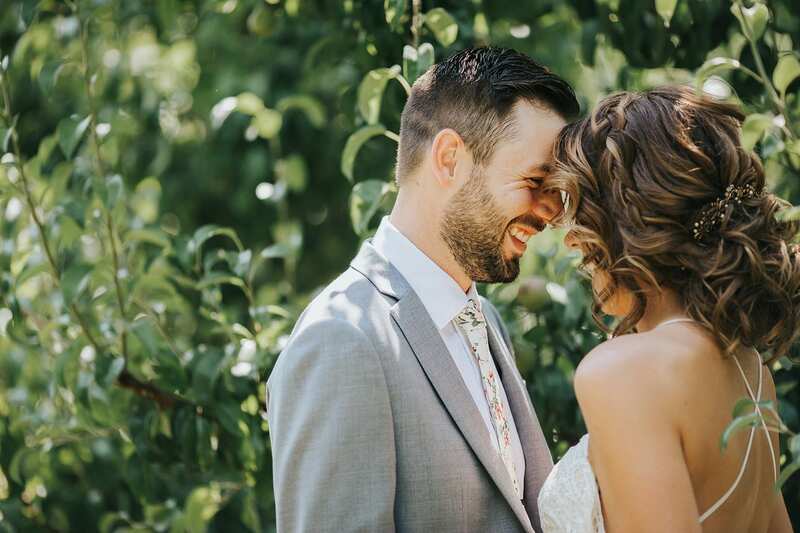 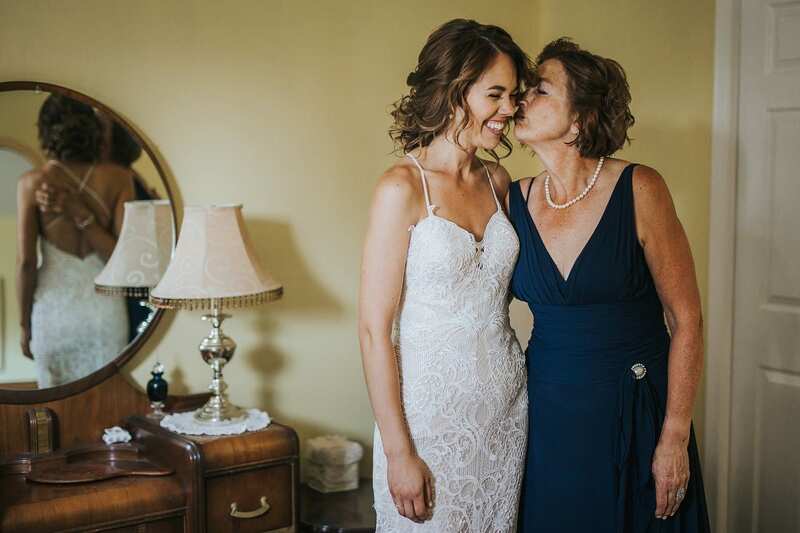 Maureen + Bennet’s day began with getting ready at the lovely Christleton Manor in Kelowna. 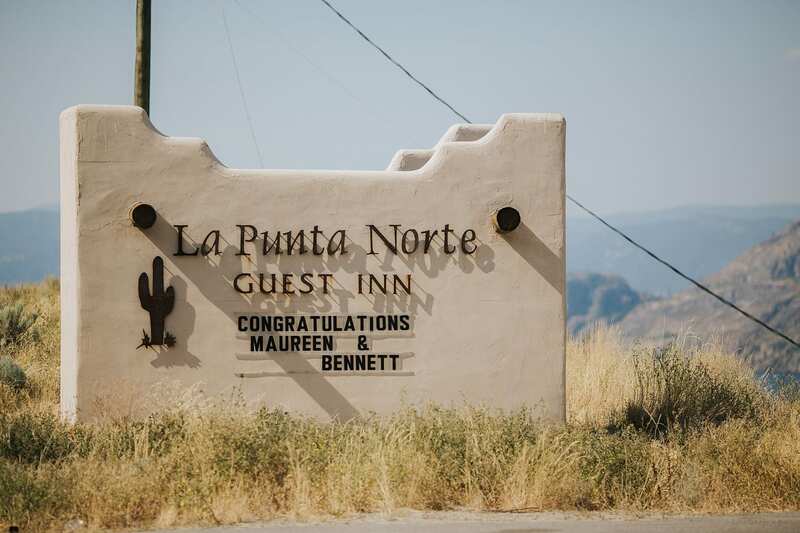 This B & B is full of charm. 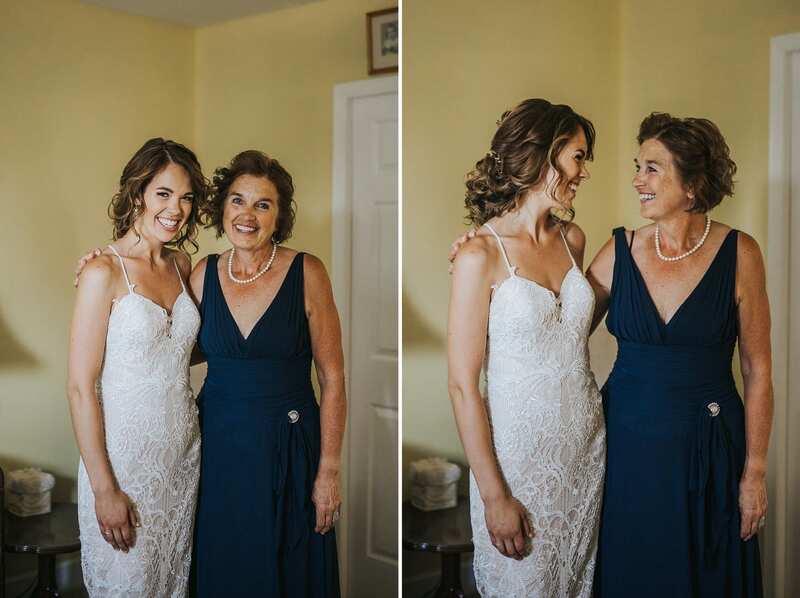 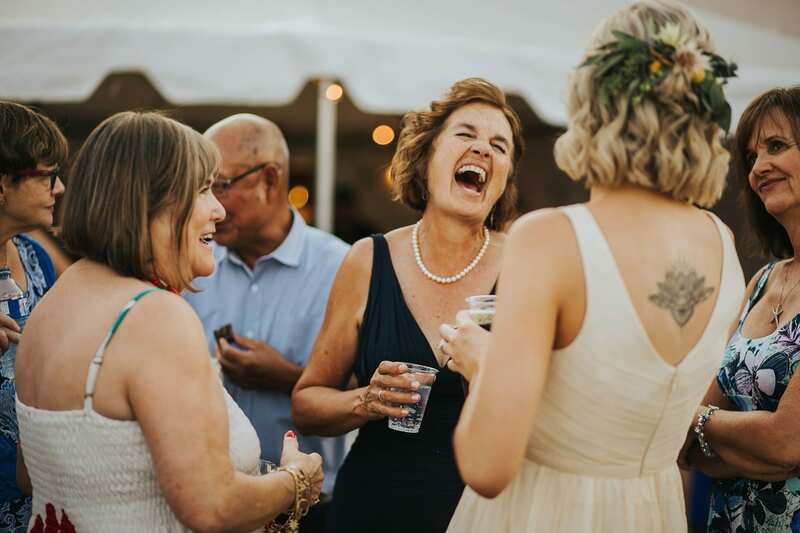 Maureen got her dress on with minimal fuss and plenty of laughs with her mother by her side. 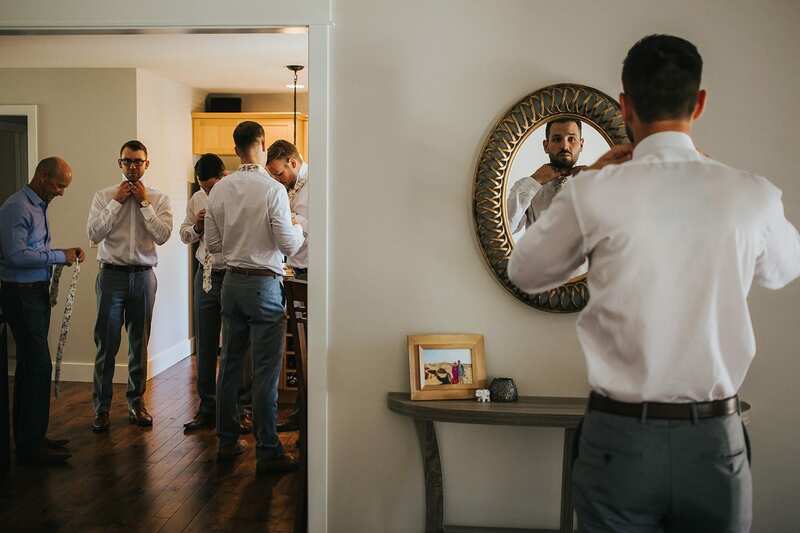 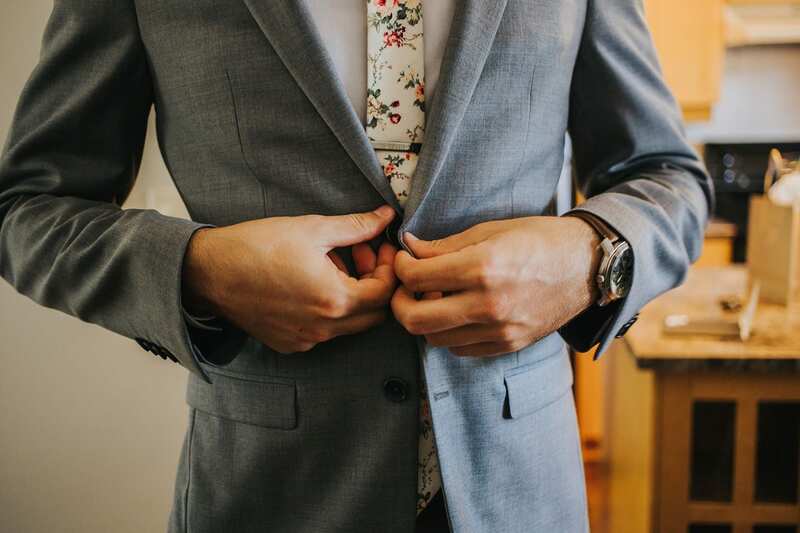 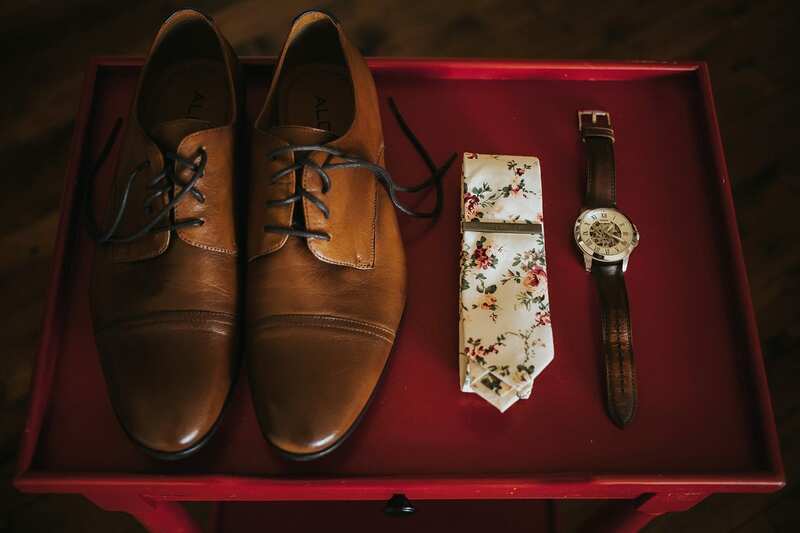 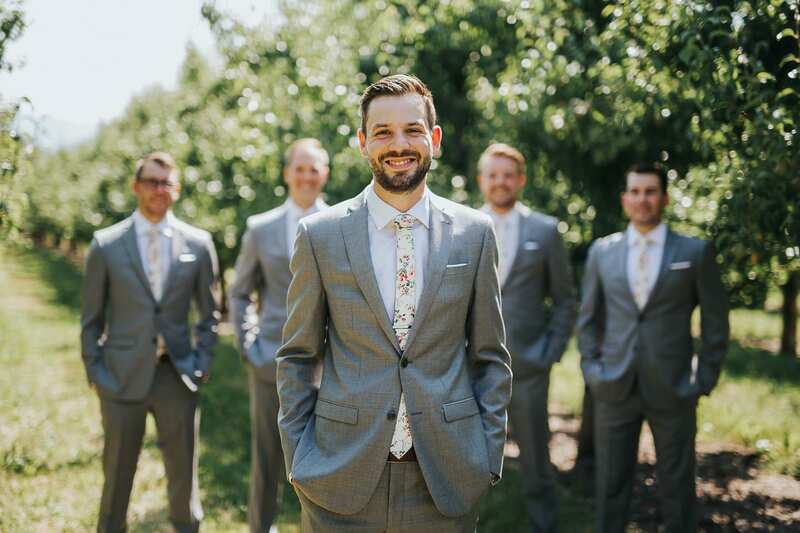 Bennet got ready with his groomsmen at his home. 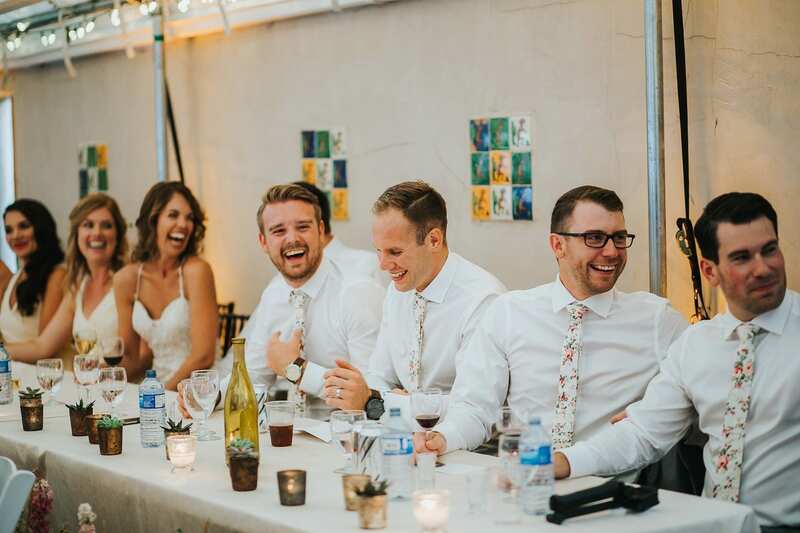 These guys were polite and hilarious. 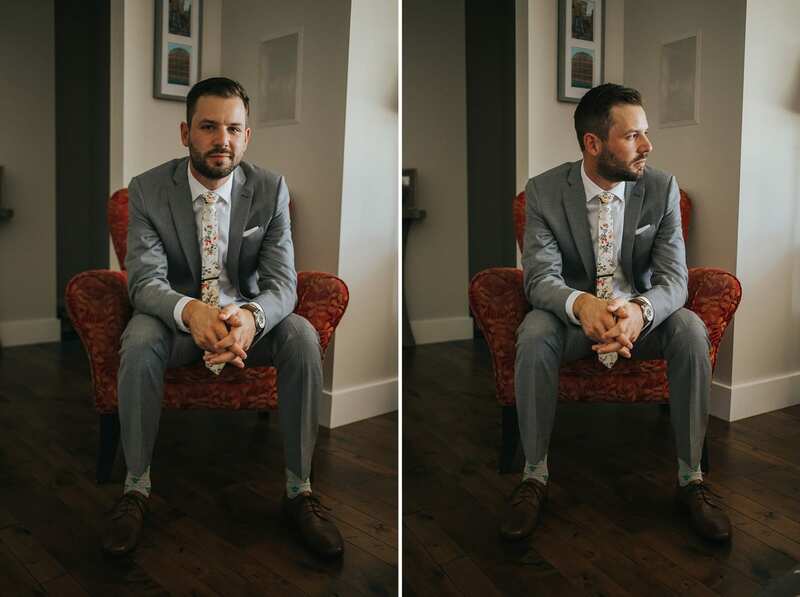 Check out those ties and we loved Bennet’s desert themed socks. 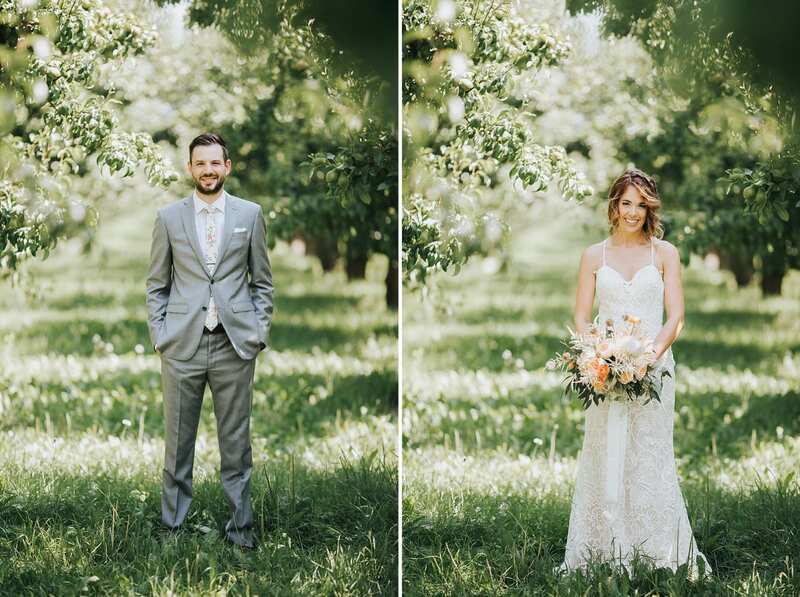 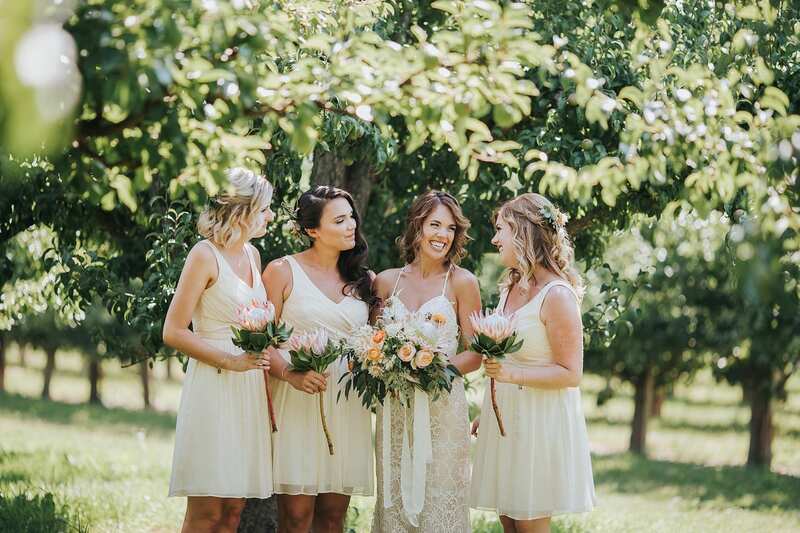 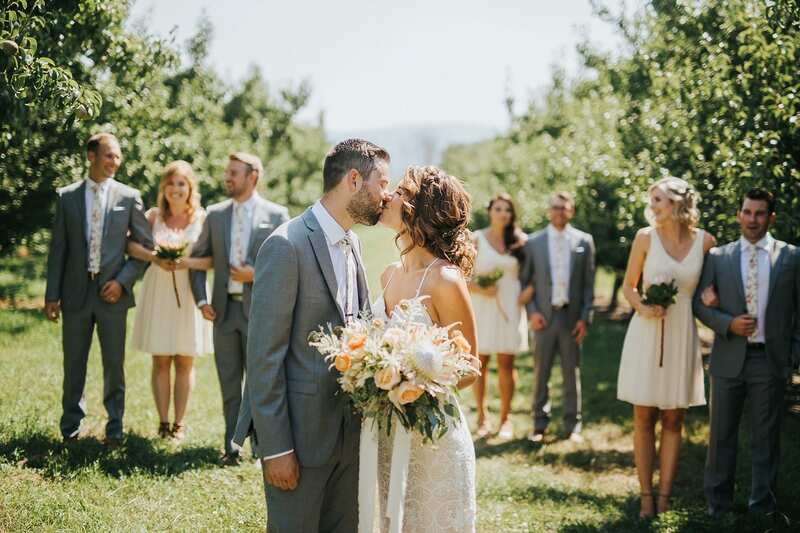 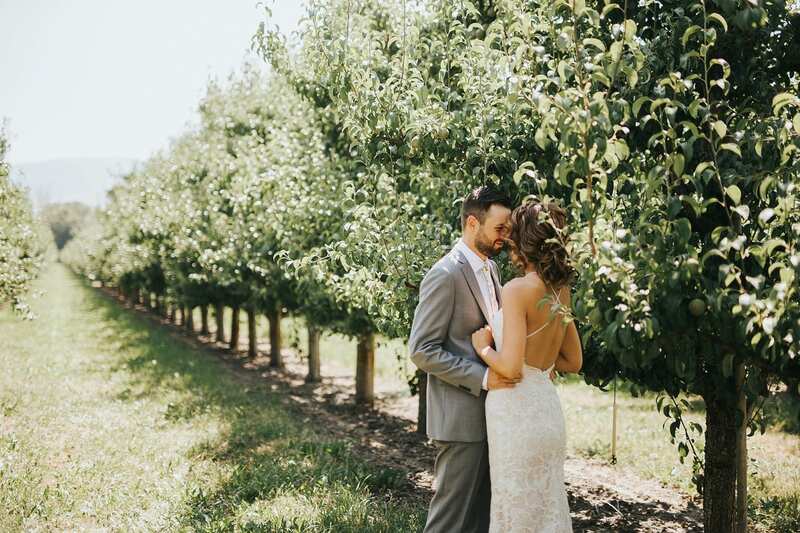 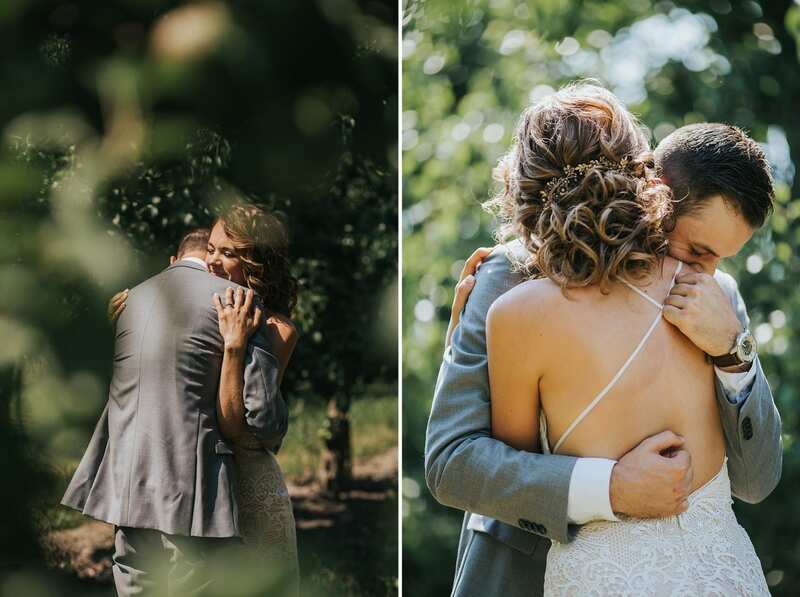 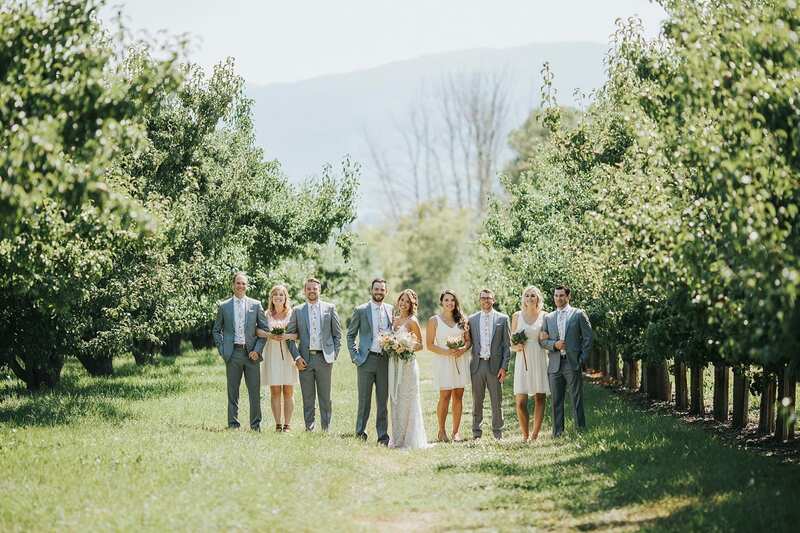 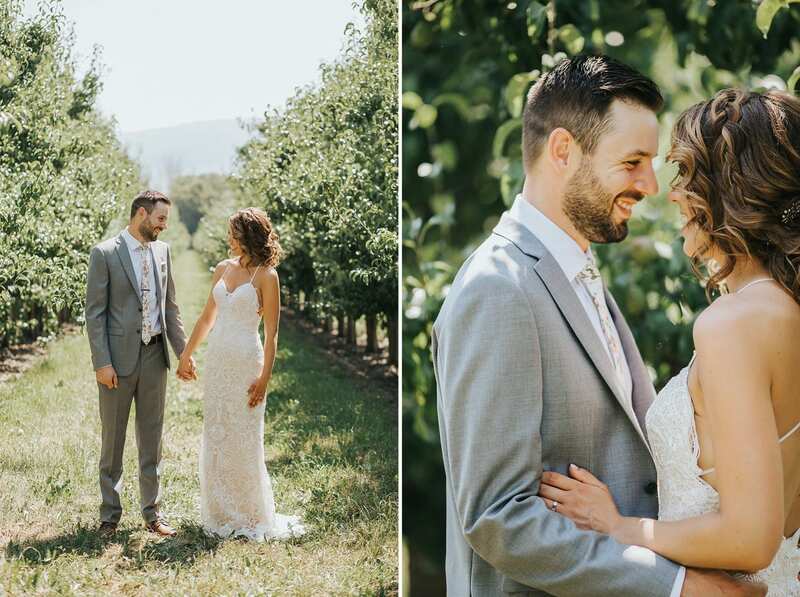 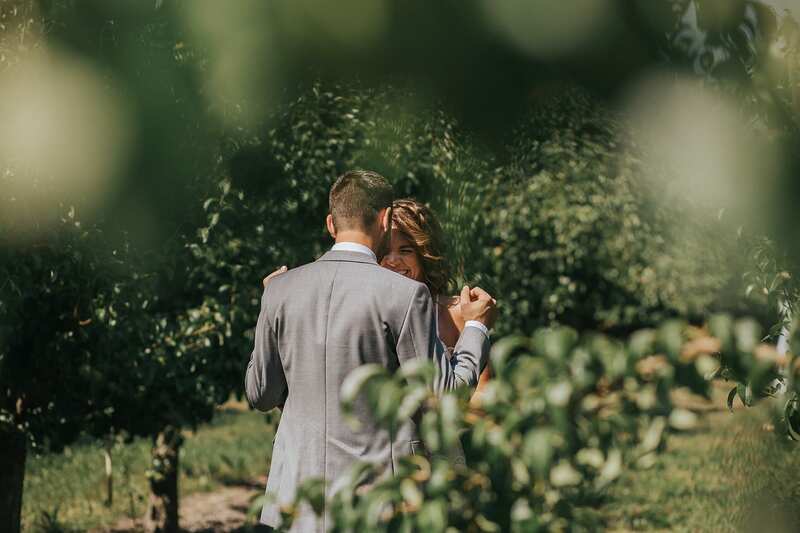 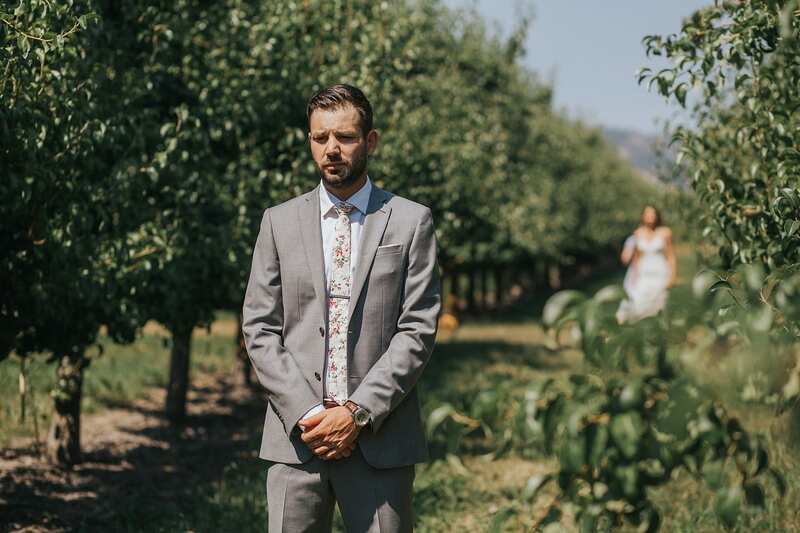 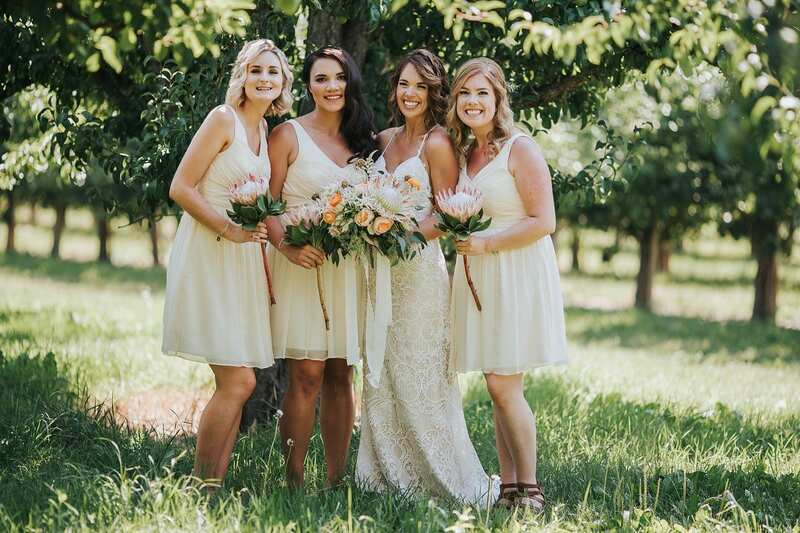 We met in a Pear Orchard for a romantic first look followed by wedding party photos among the growing fruit. 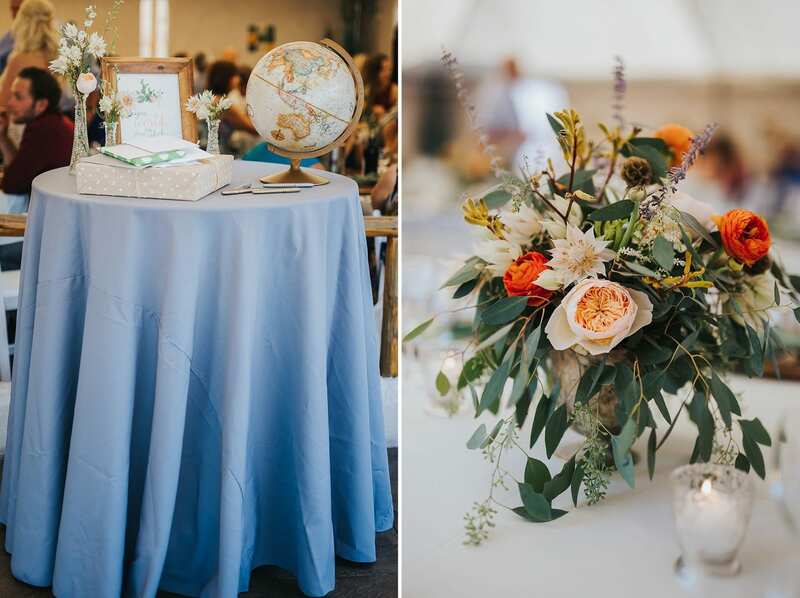 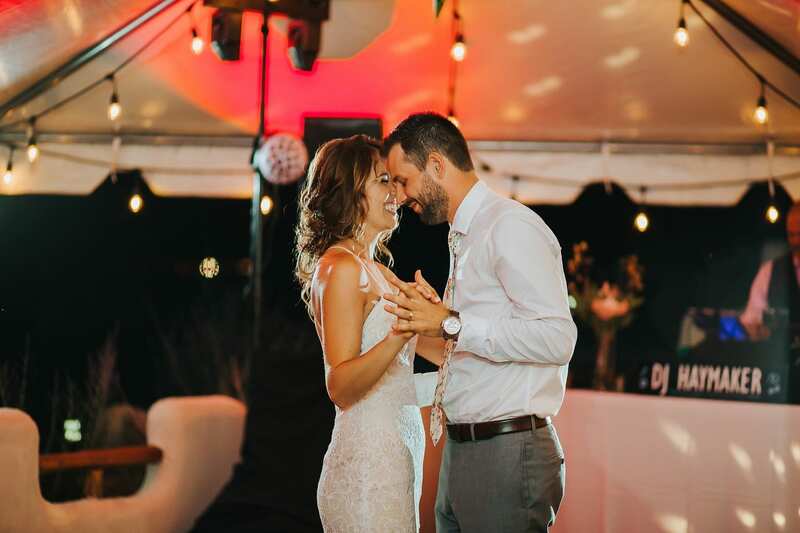 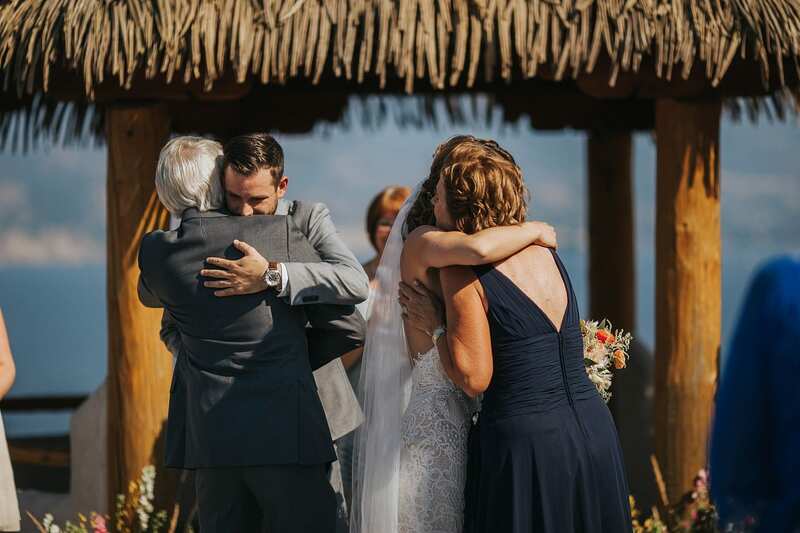 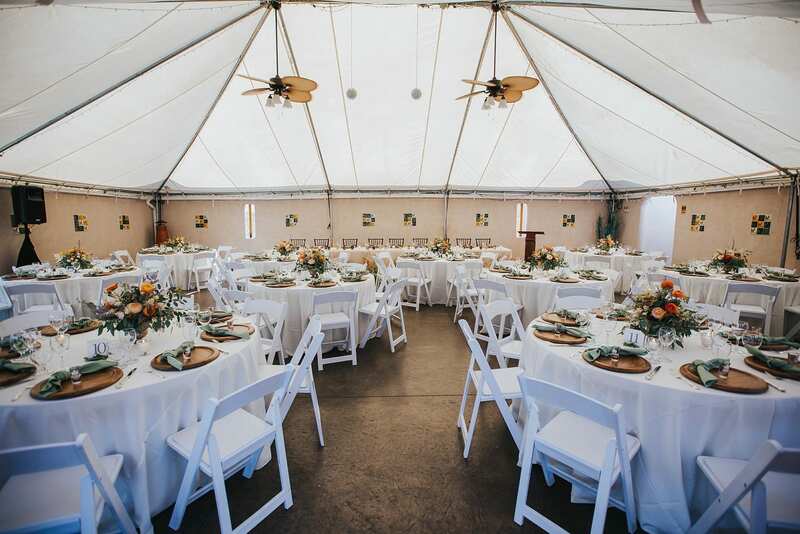 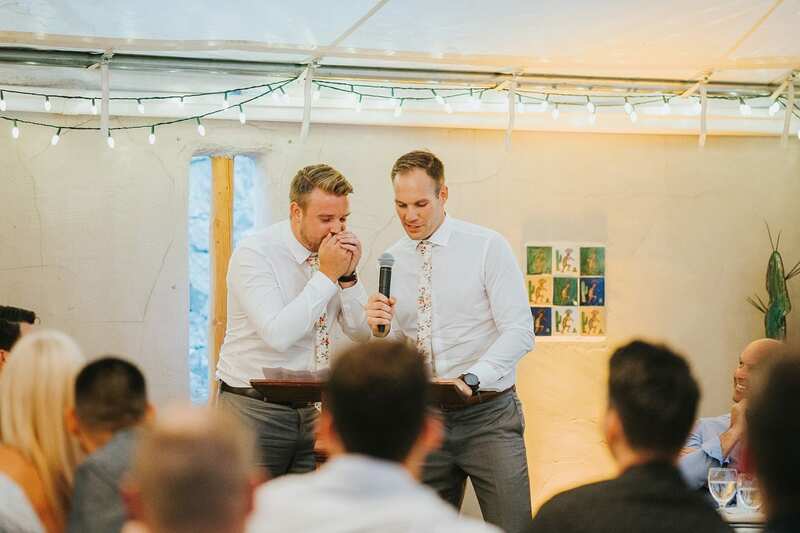 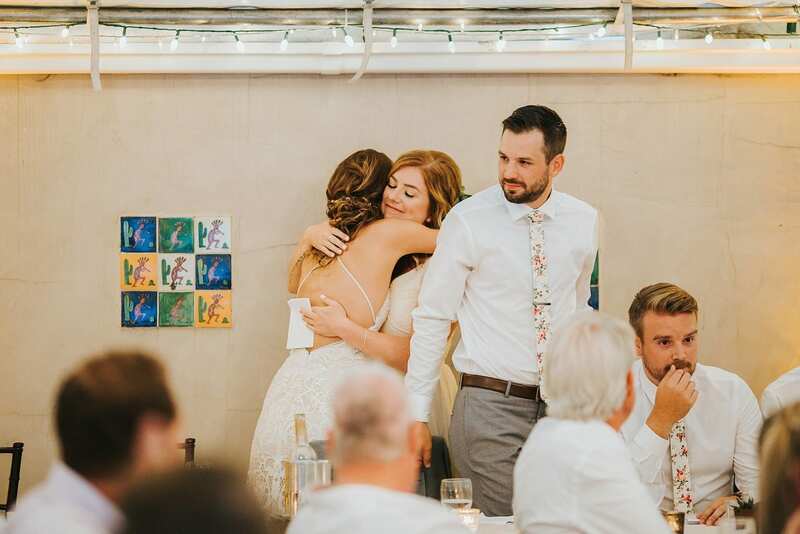 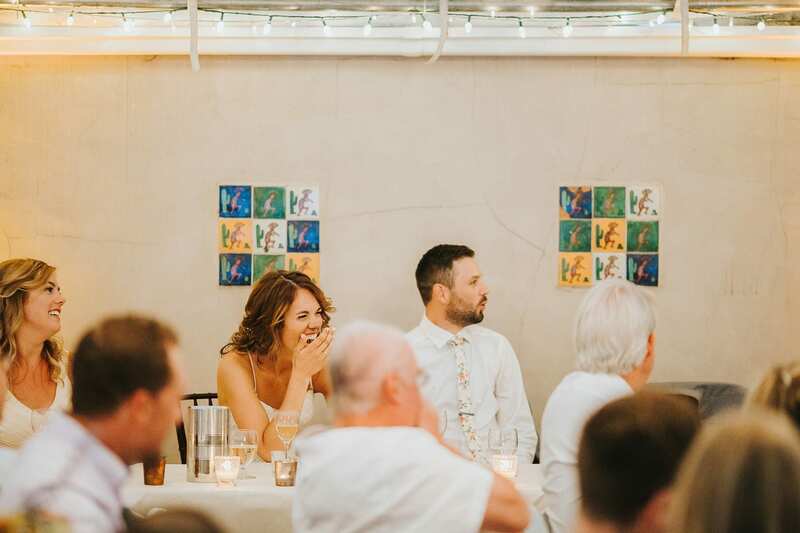 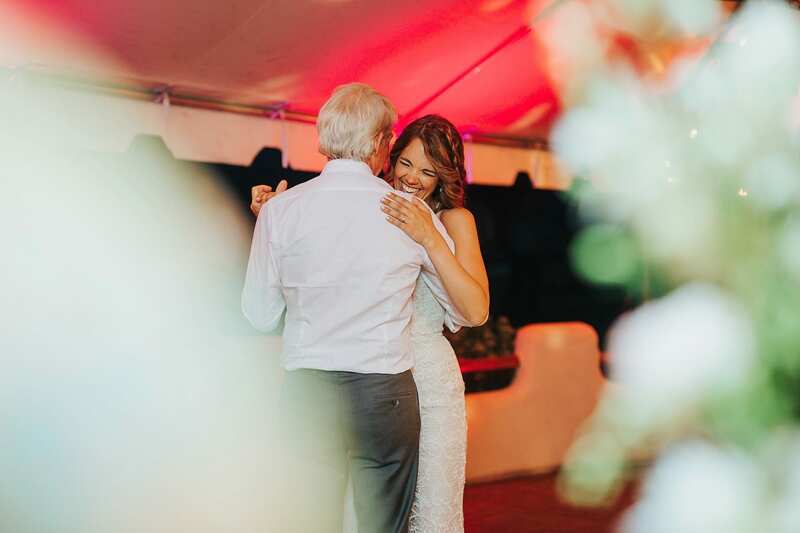 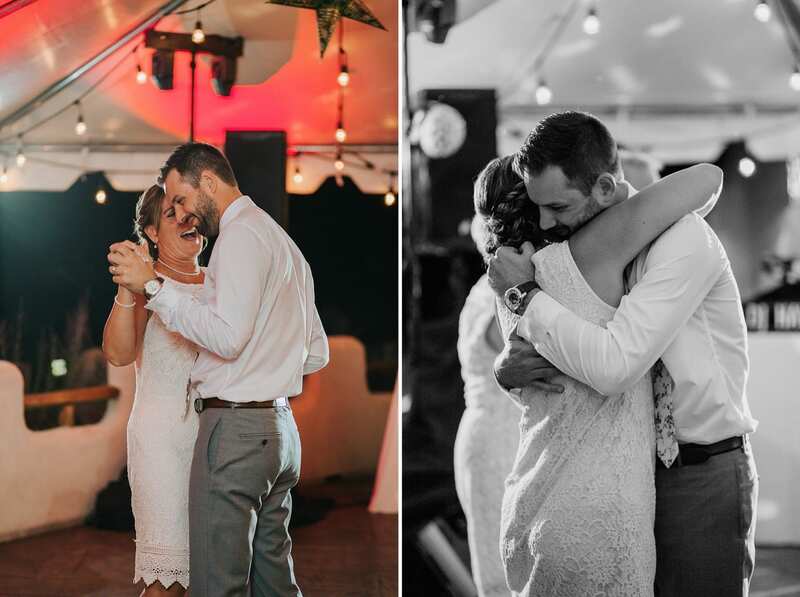 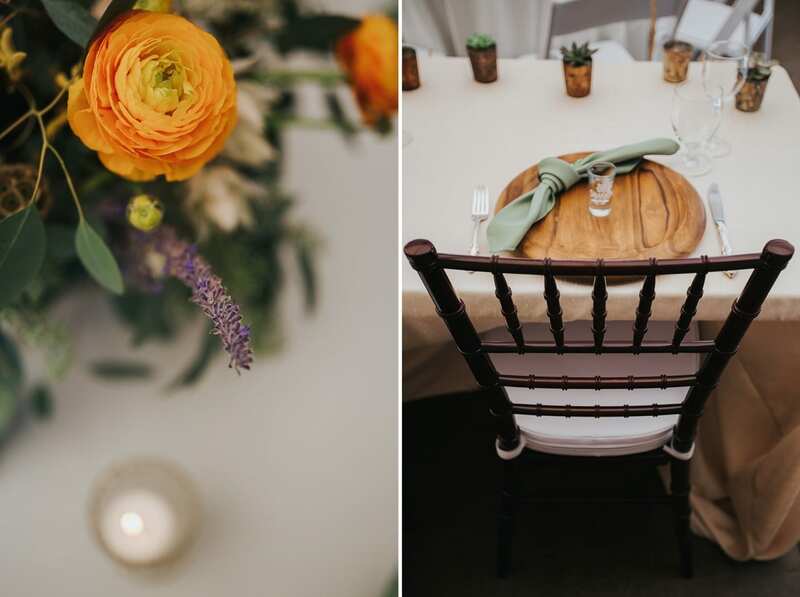 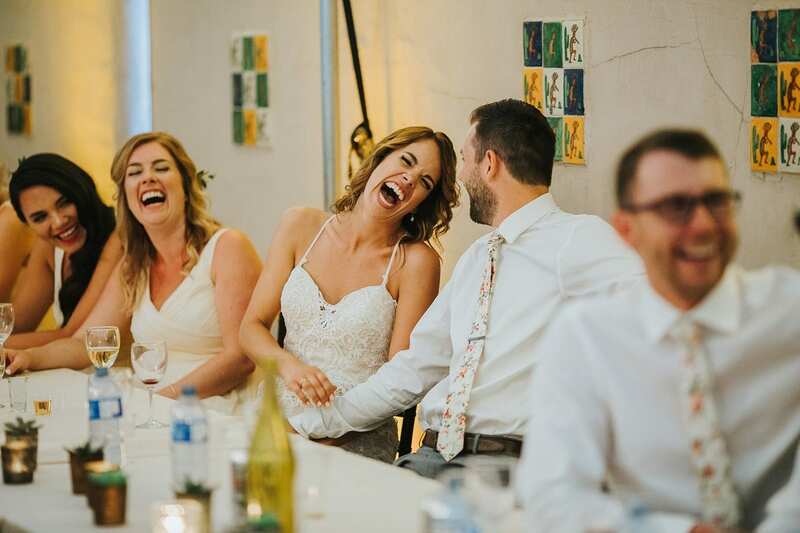 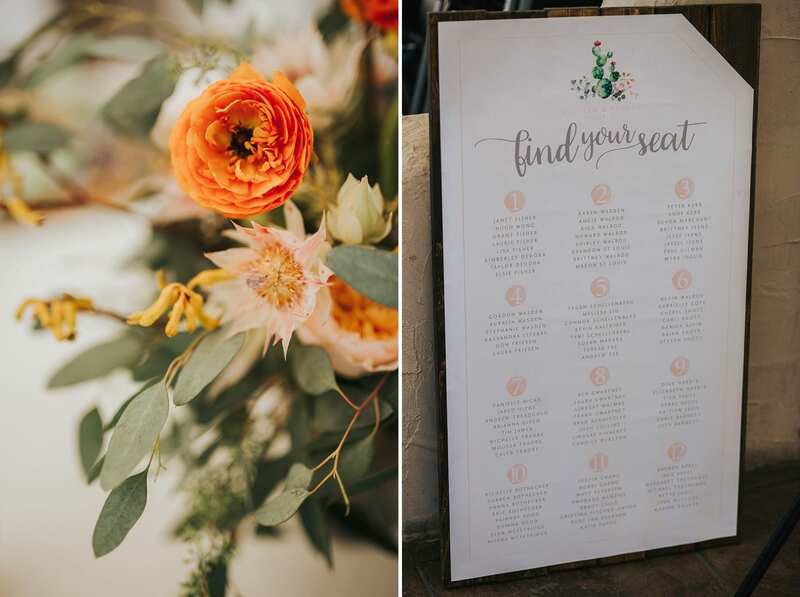 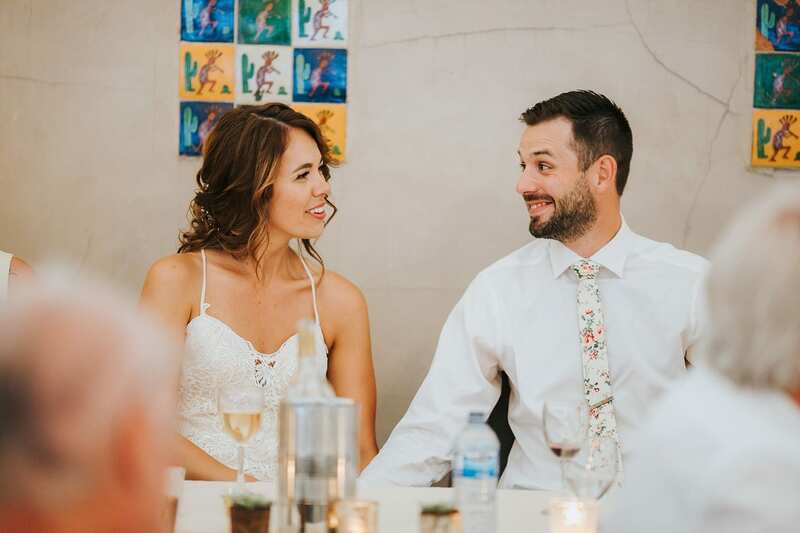 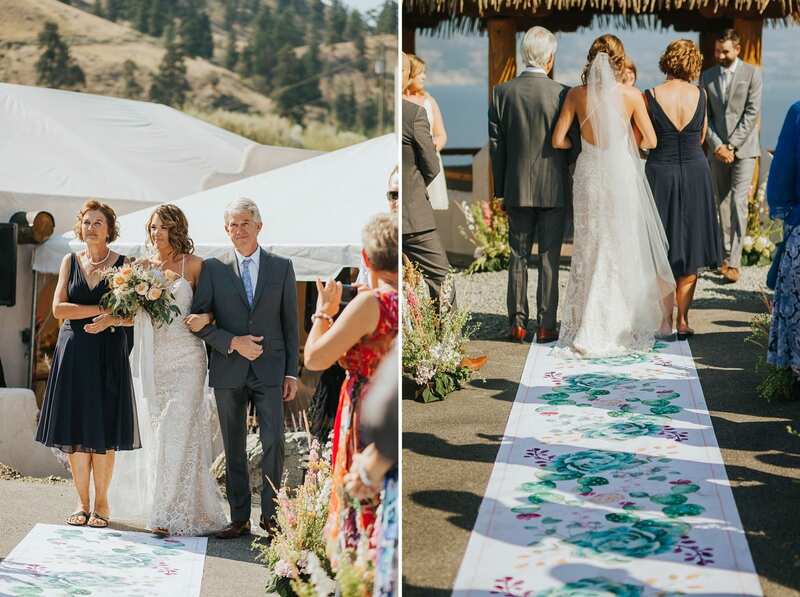 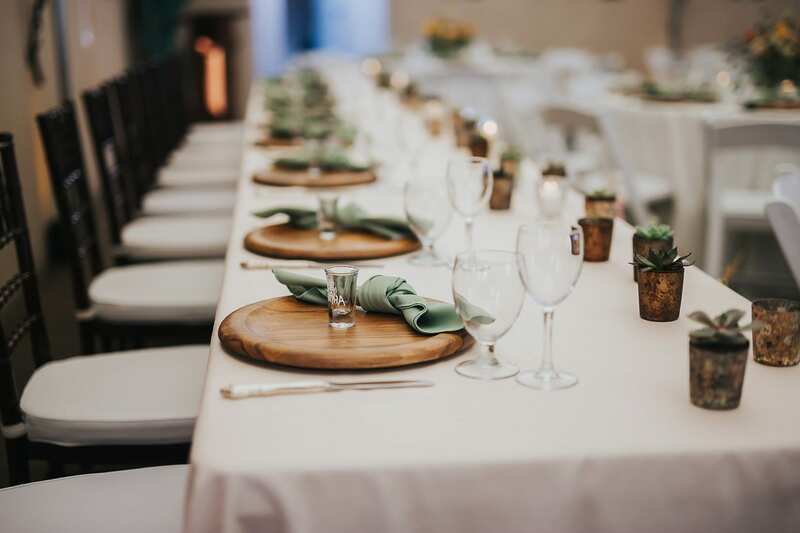 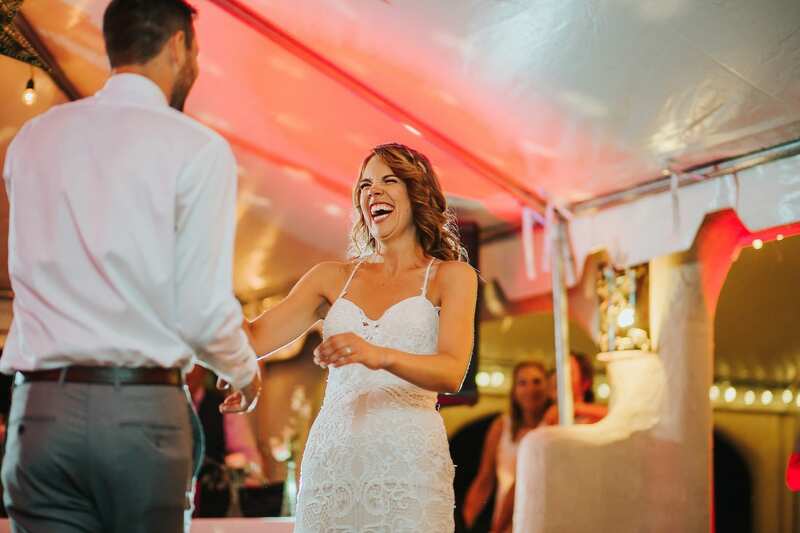 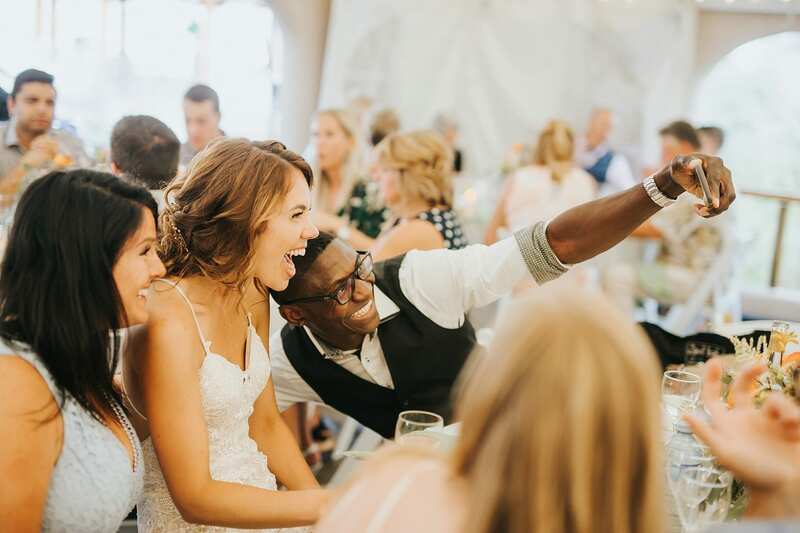 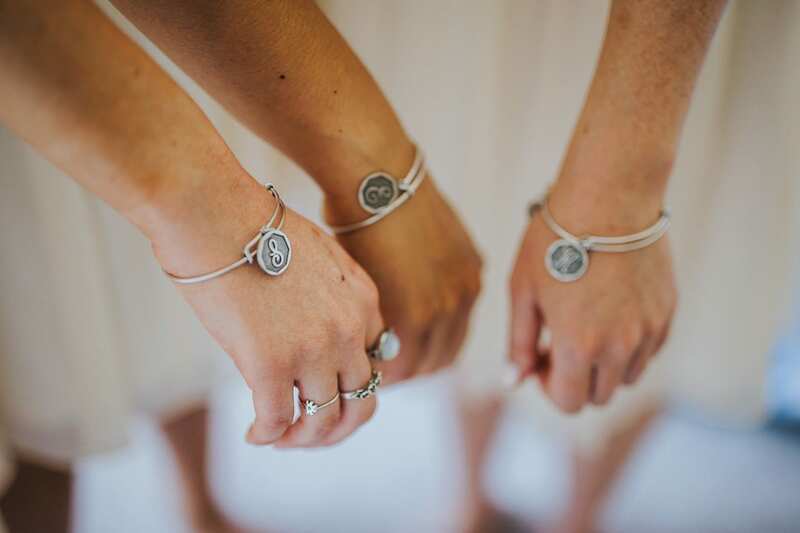 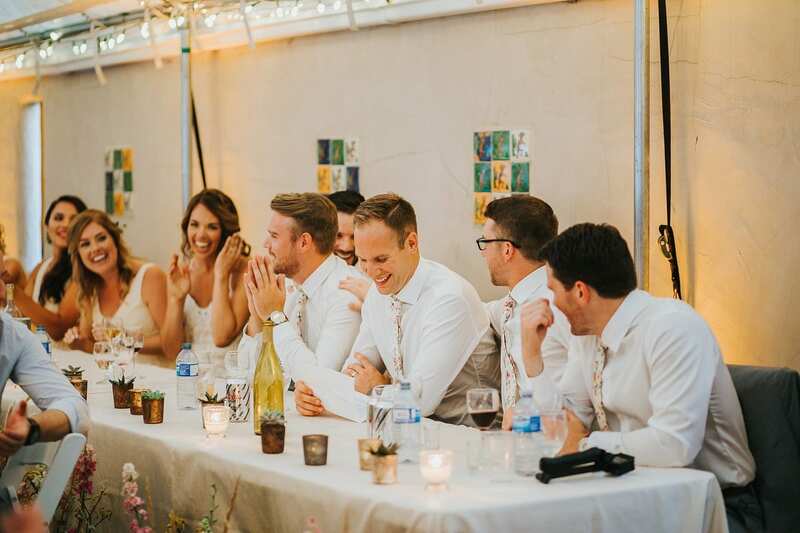 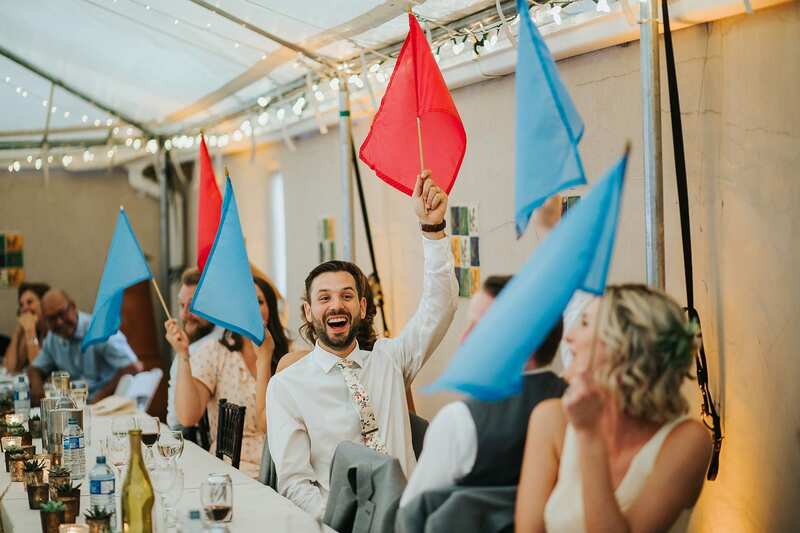 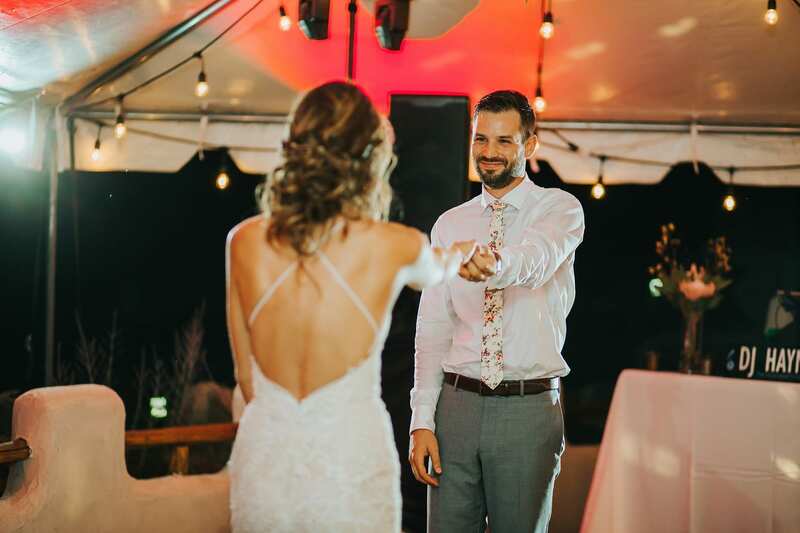 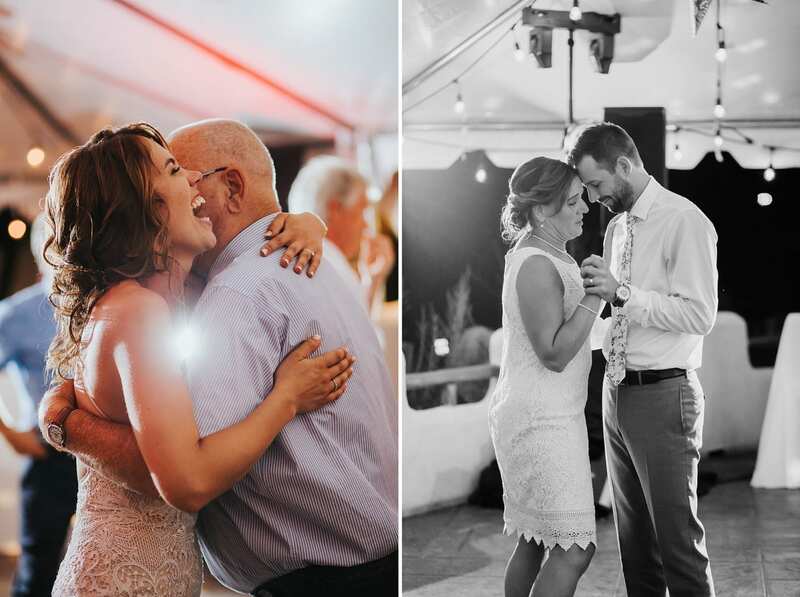 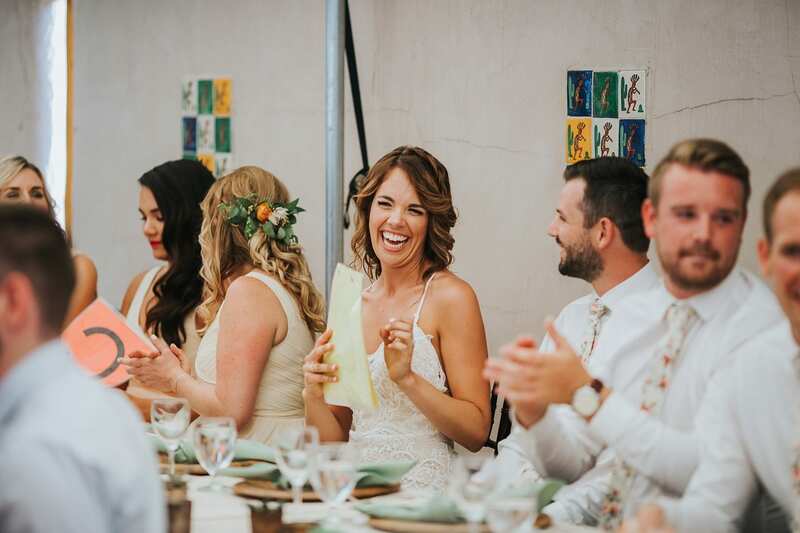 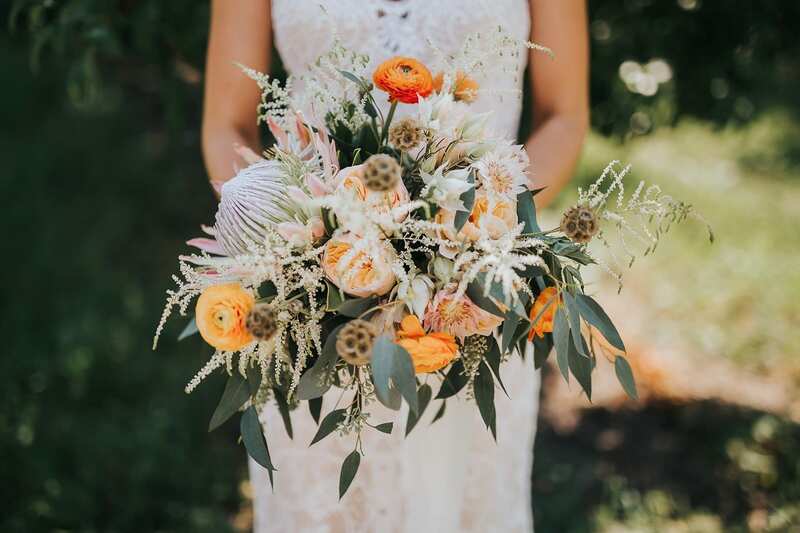 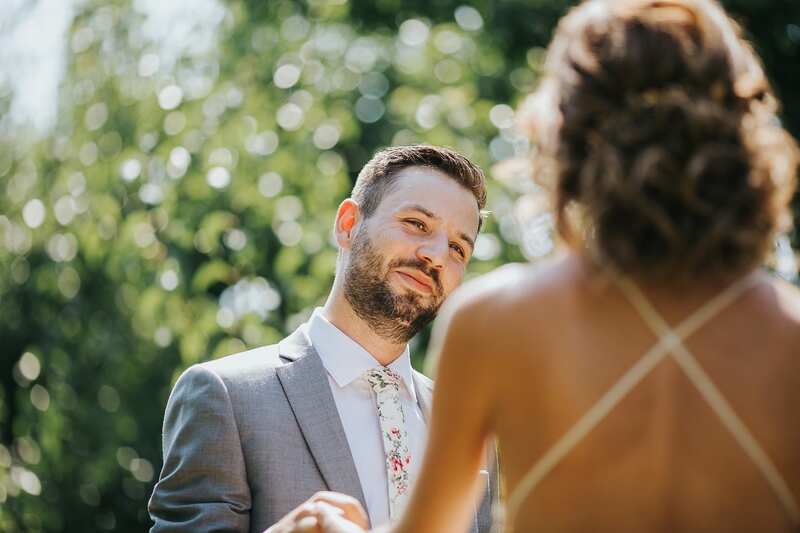 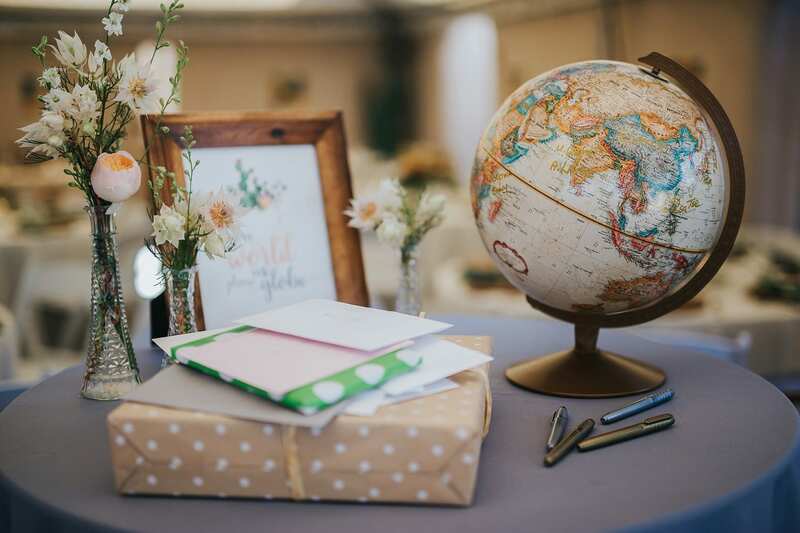 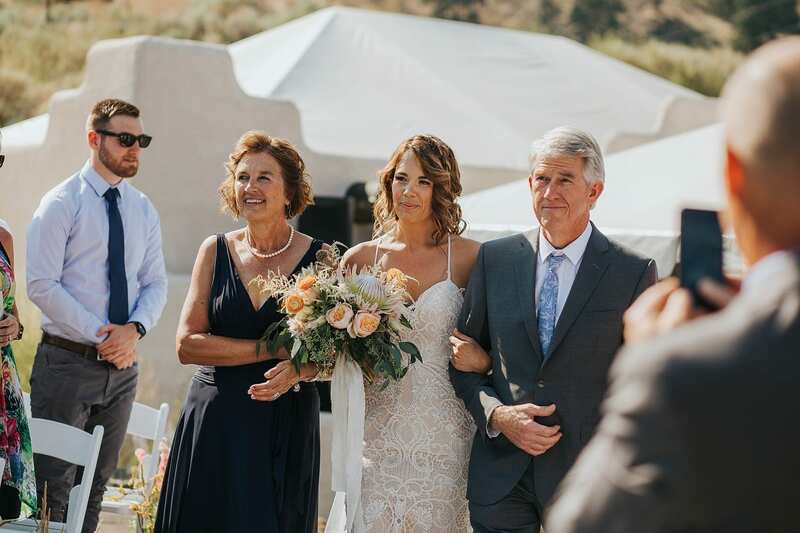 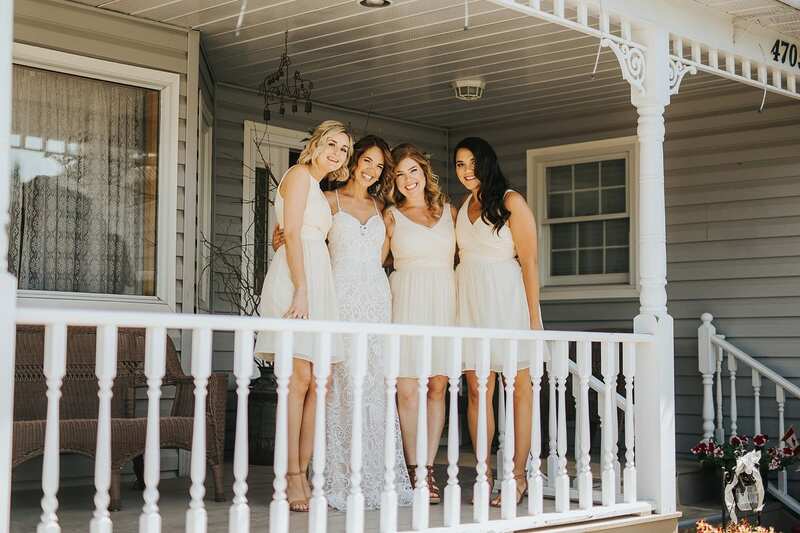 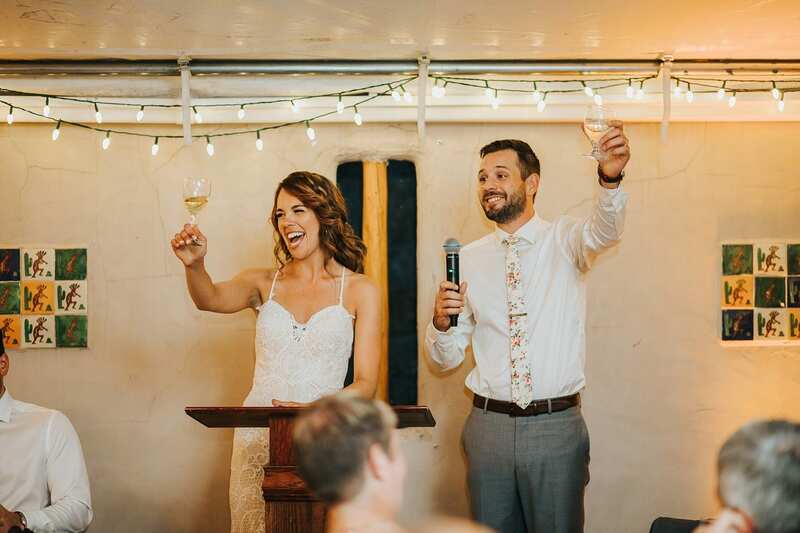 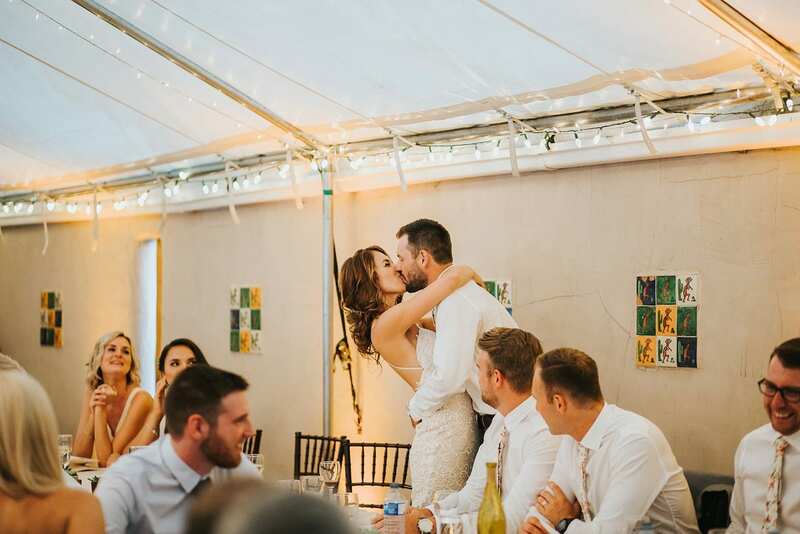 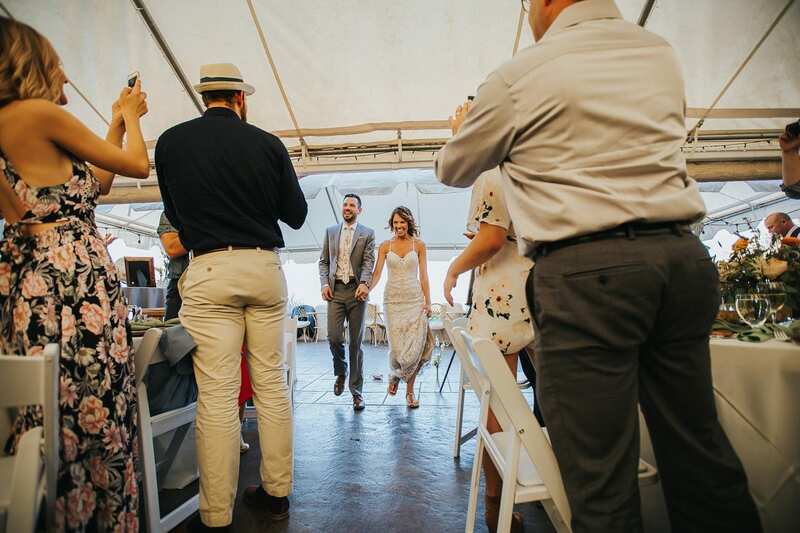 Afterwards, it was time to head to the ceremony where Kaitlyn Ellis and her team had created magic in the form of beautiful decor and a breathtaking aisle runner. 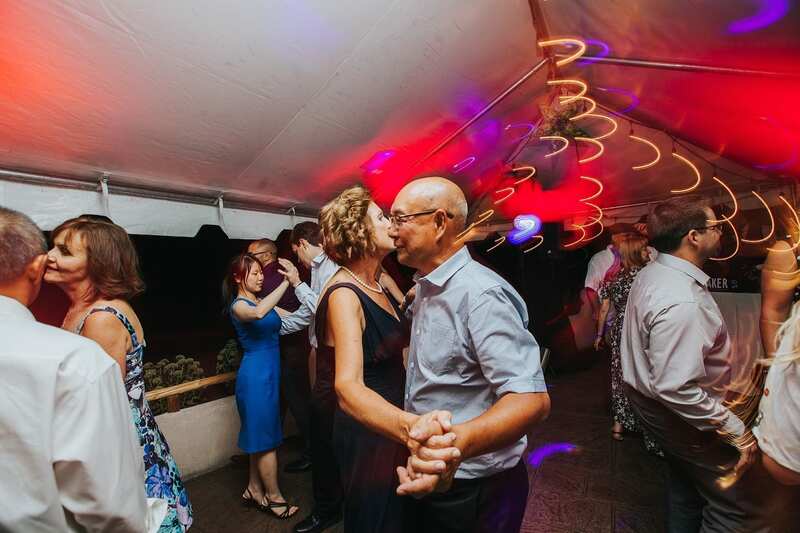 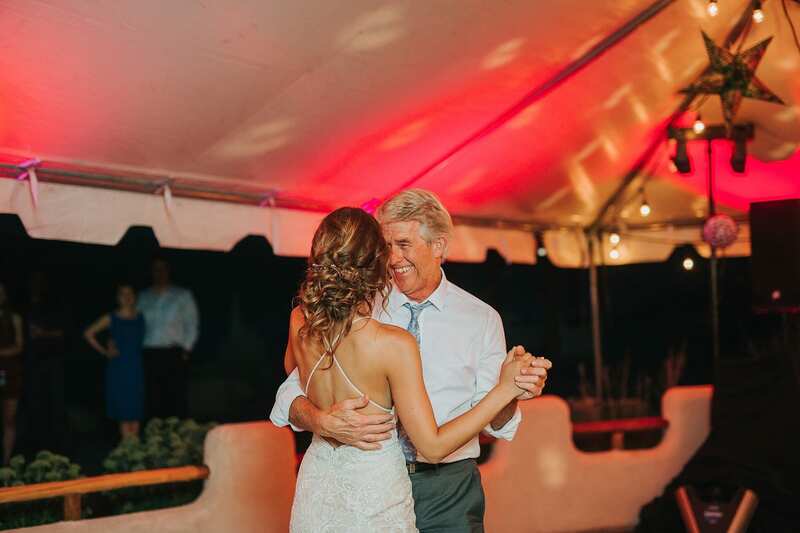 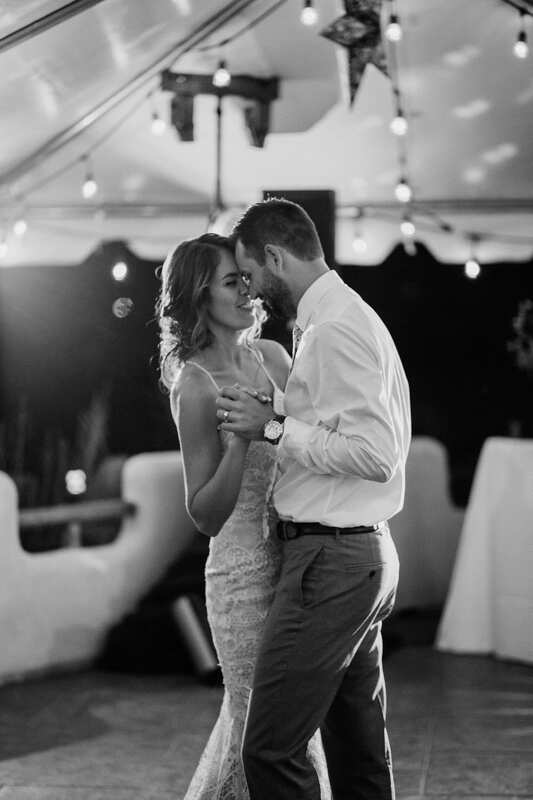 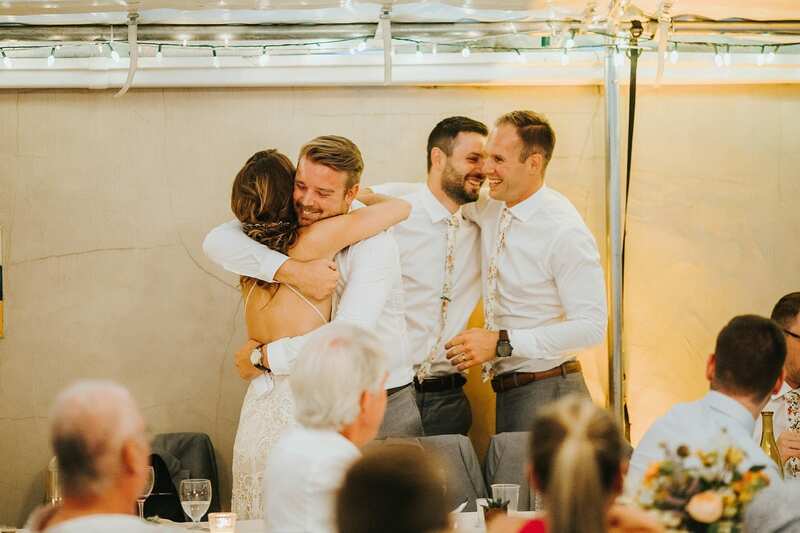 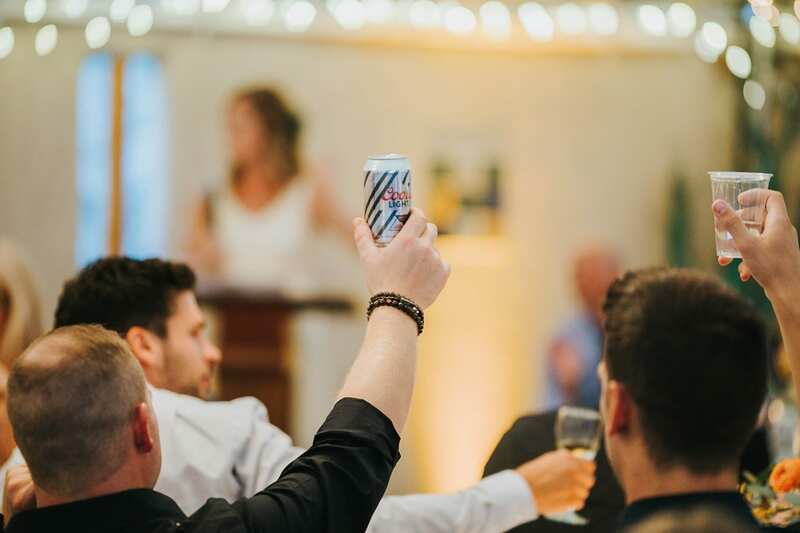 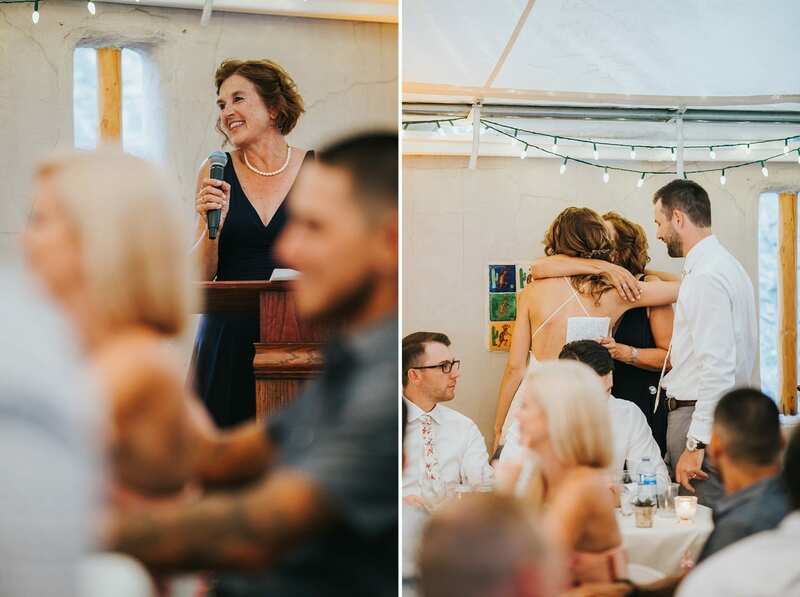 After vows, rings, and kisses, it was time to party with family and friends! 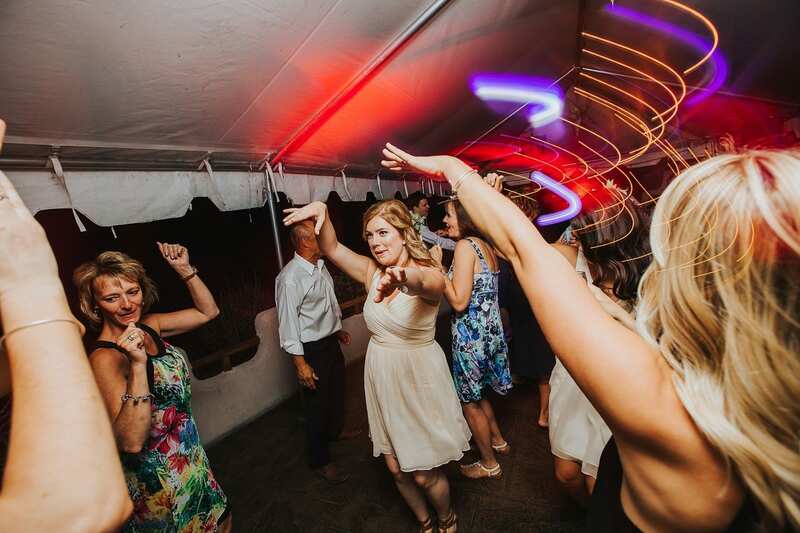 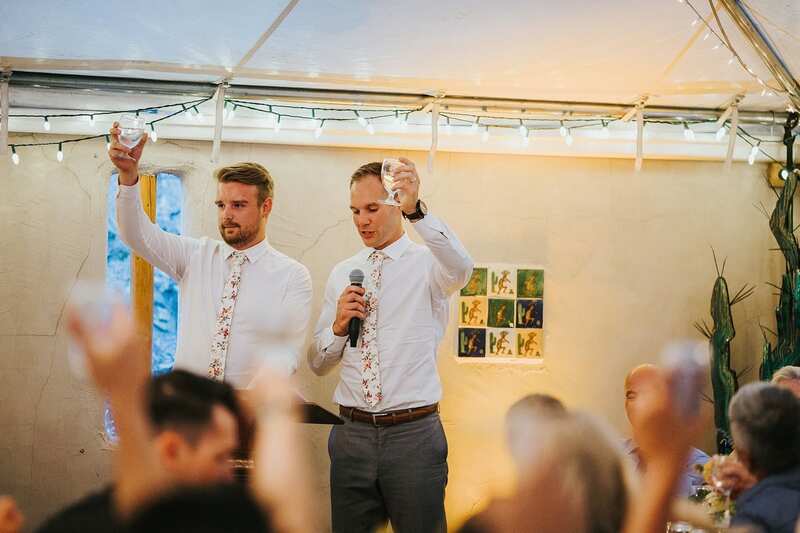 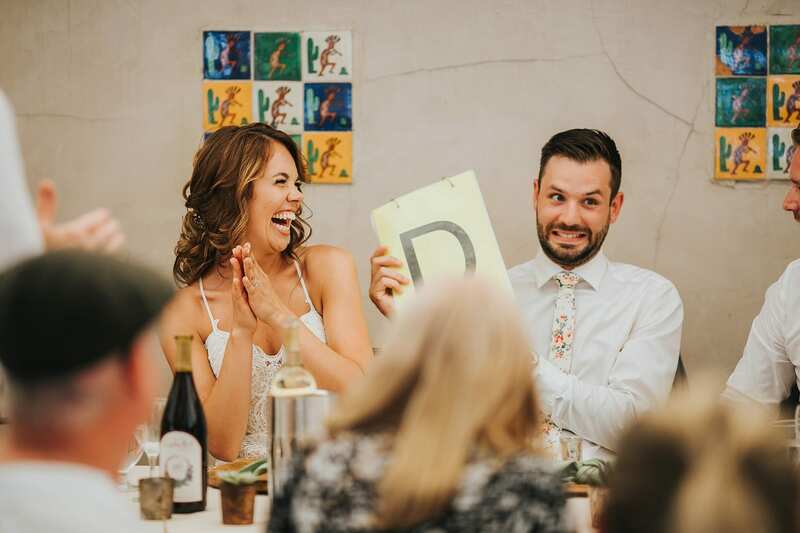 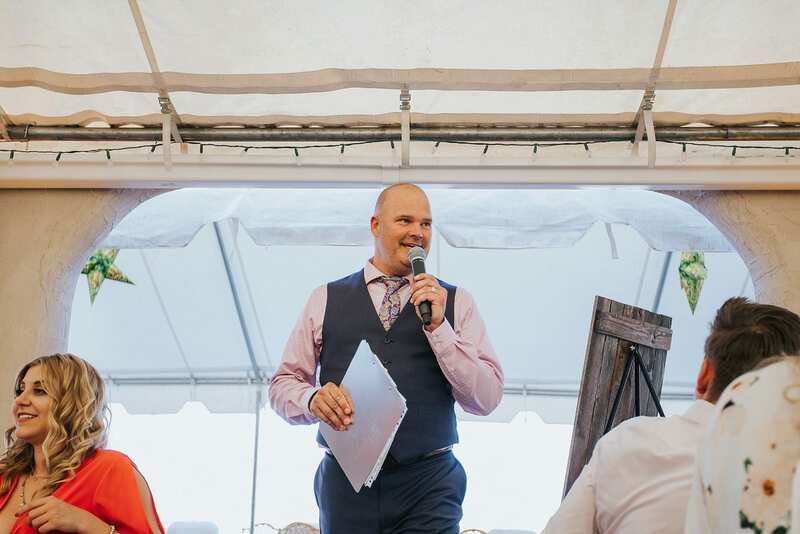 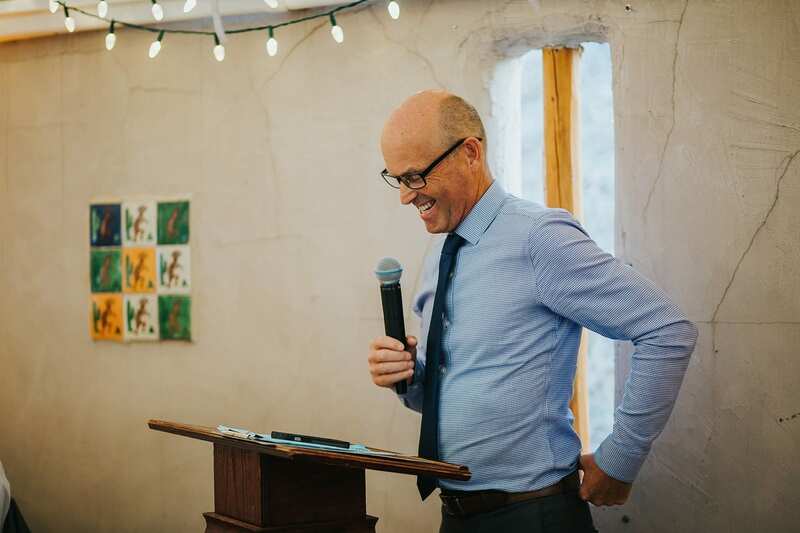 The reception was masterfully MC’d and DJ’d by DJ Haymaker. 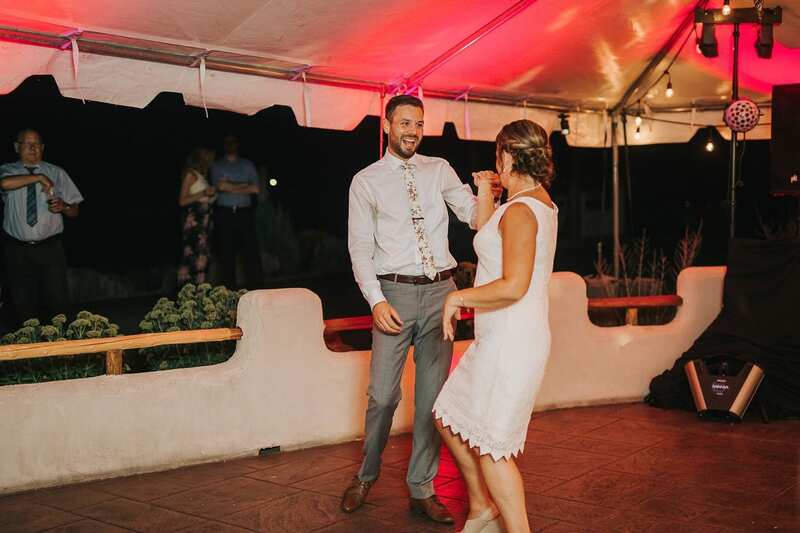 He always keeps the energy high and the fun times going! 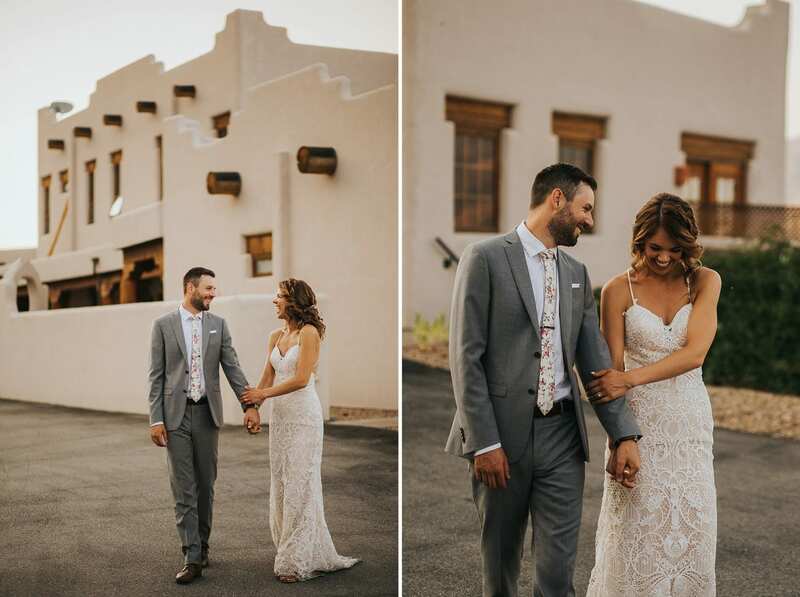 After dinner, we did sneak out for the most beautiful sunset! 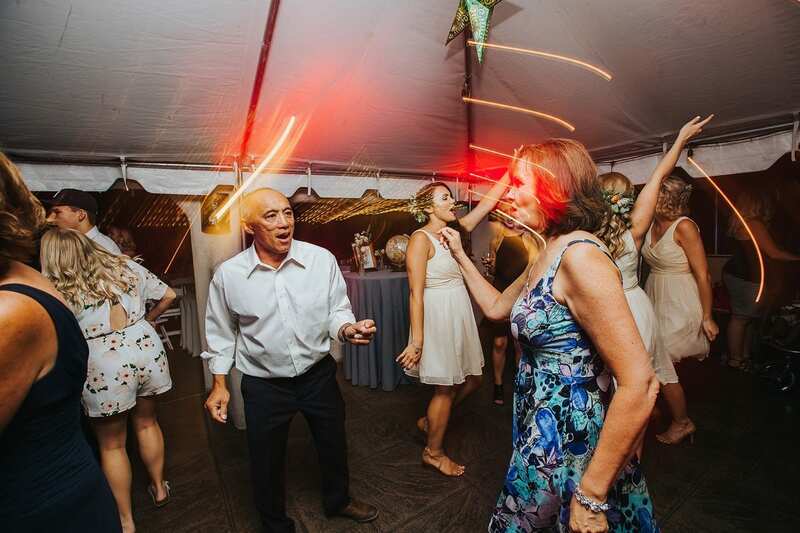 Once back in, Haymaker kept the party going with game and dancing into the night! 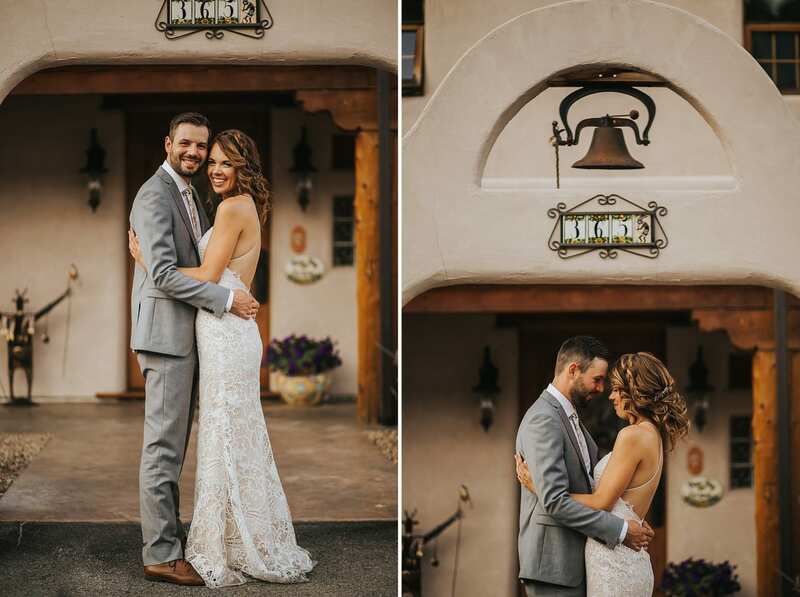 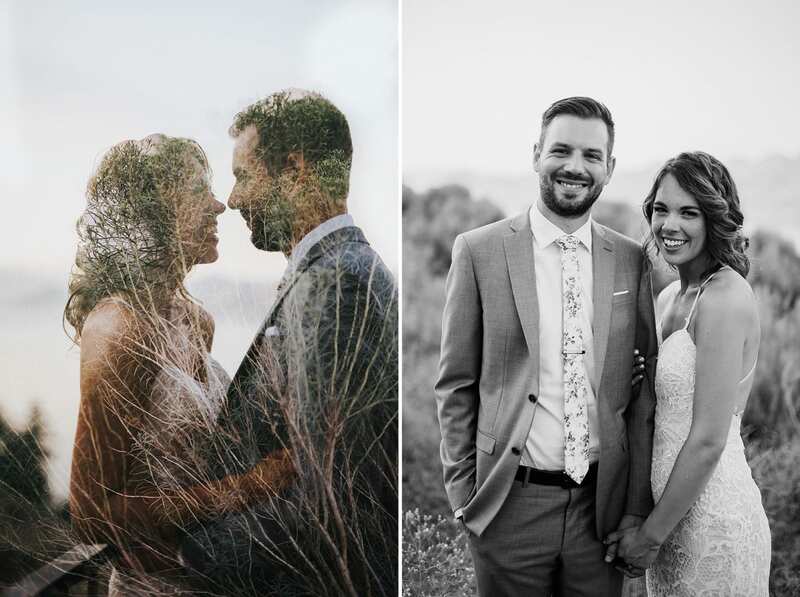 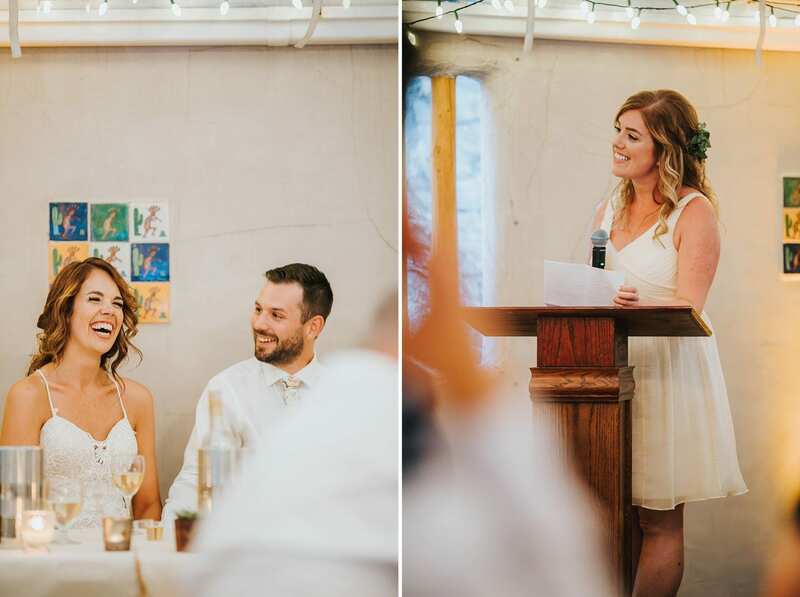 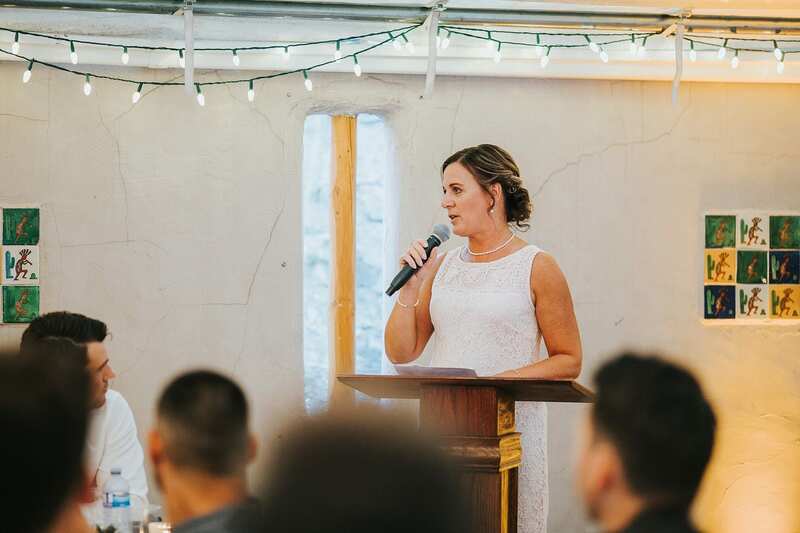 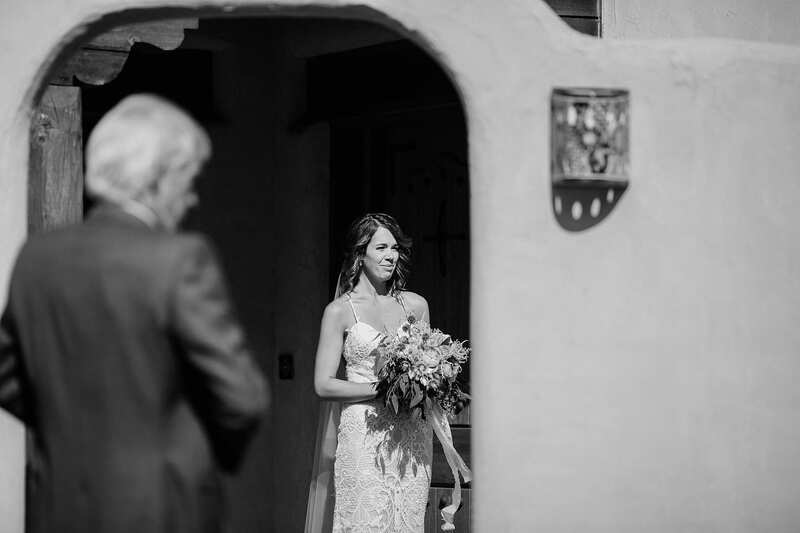 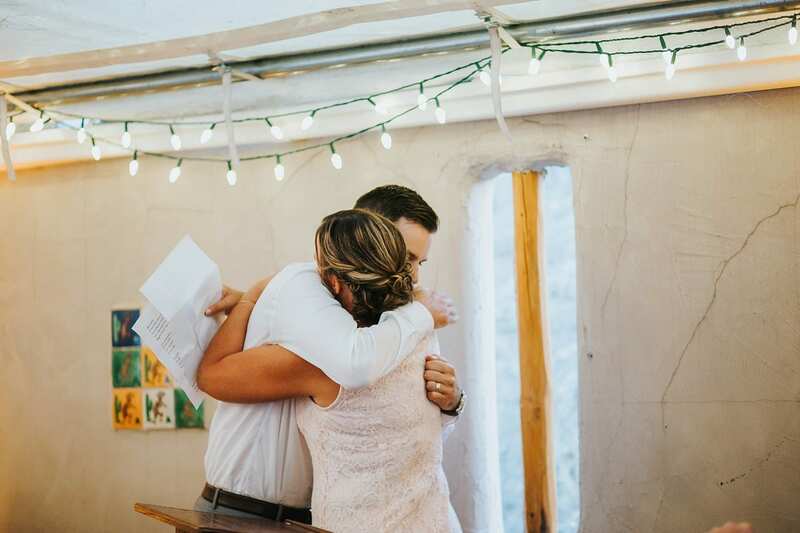 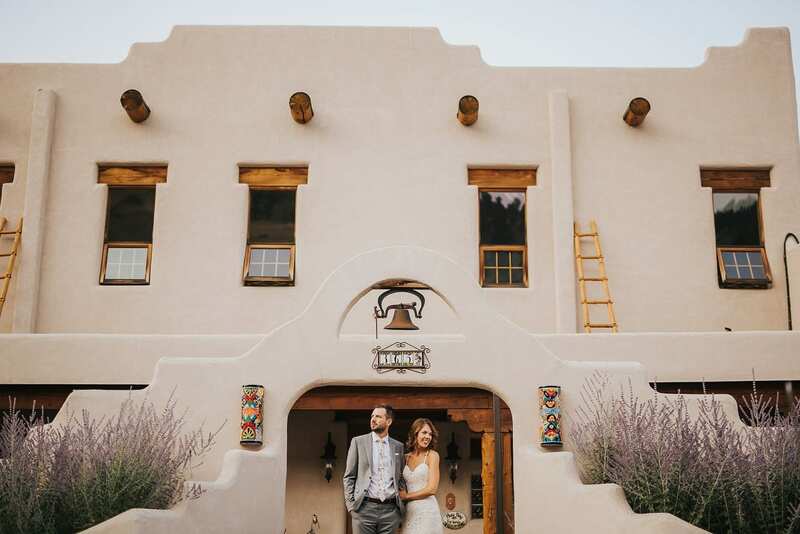 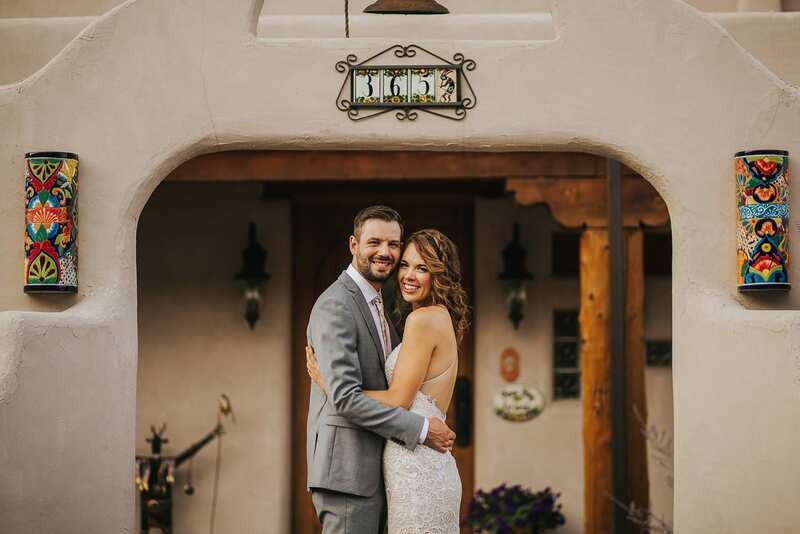 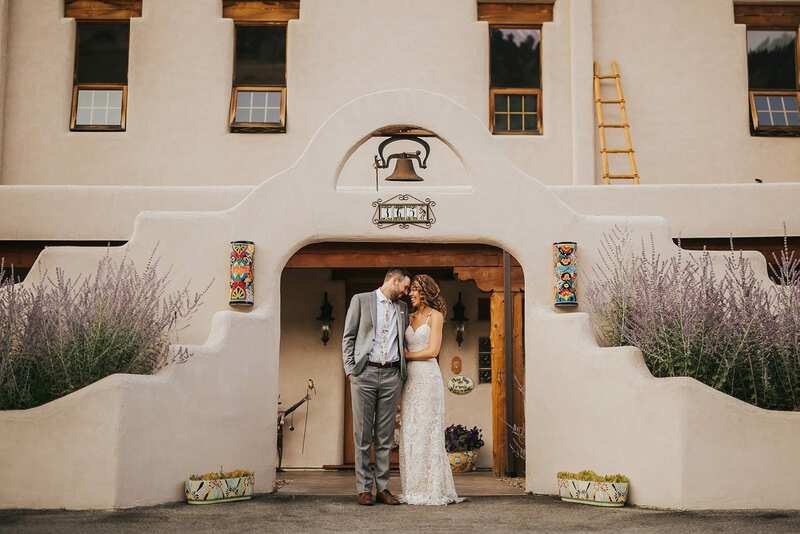 This wedding was also featured in Rocky Mountain Bride. 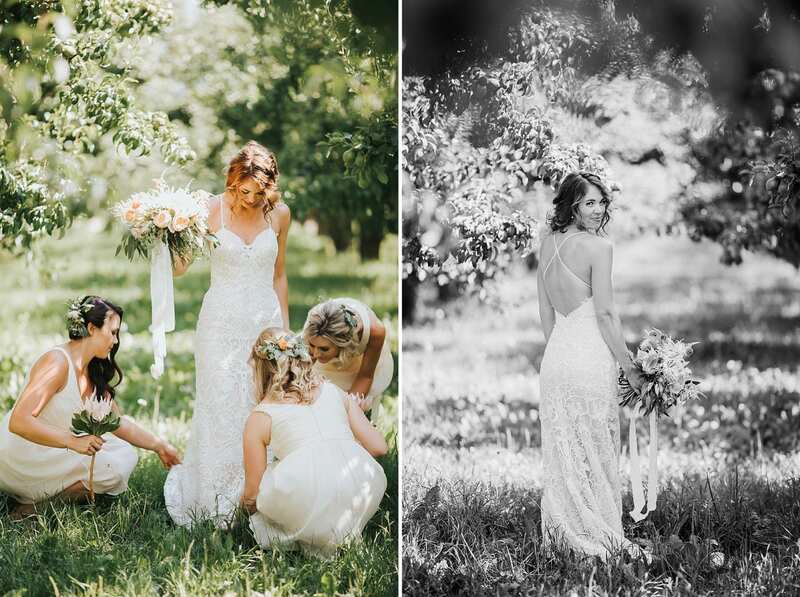 It’s an honour to be selected for such a beautiful magazine! 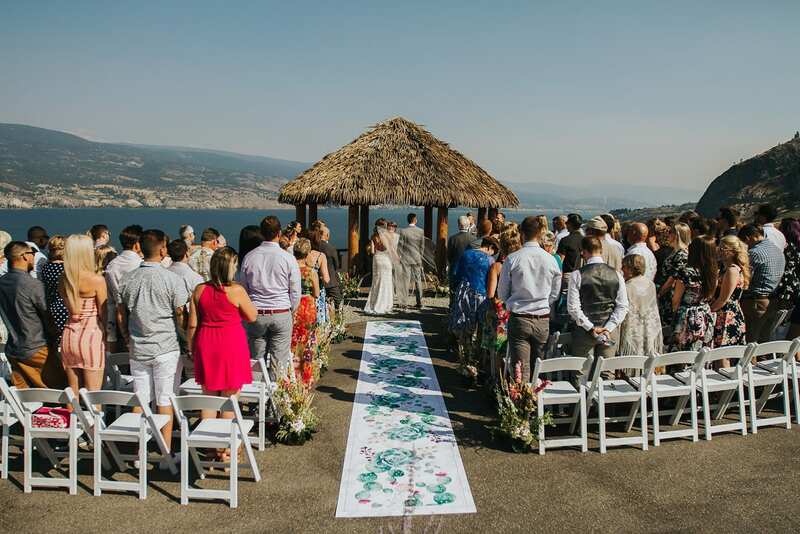 That ceremony view was amazing! 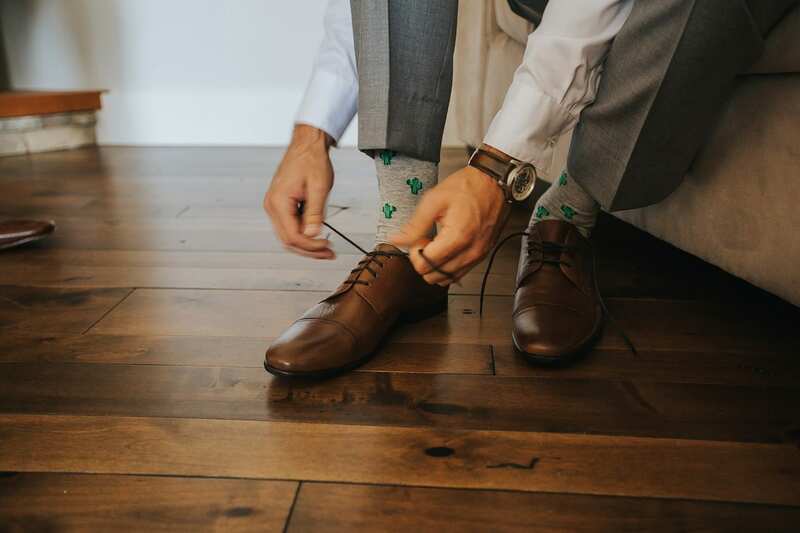 Leave a comment and let us know what you think! 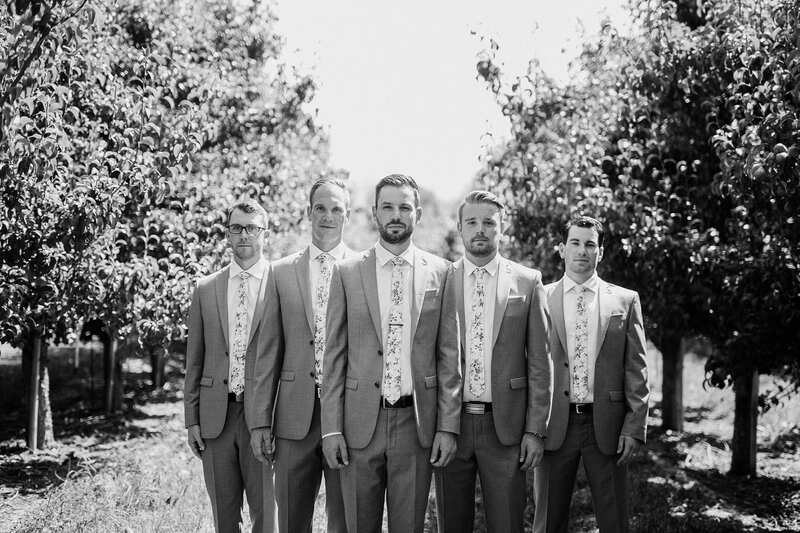 Come say Hi on Facebook and Instagram! 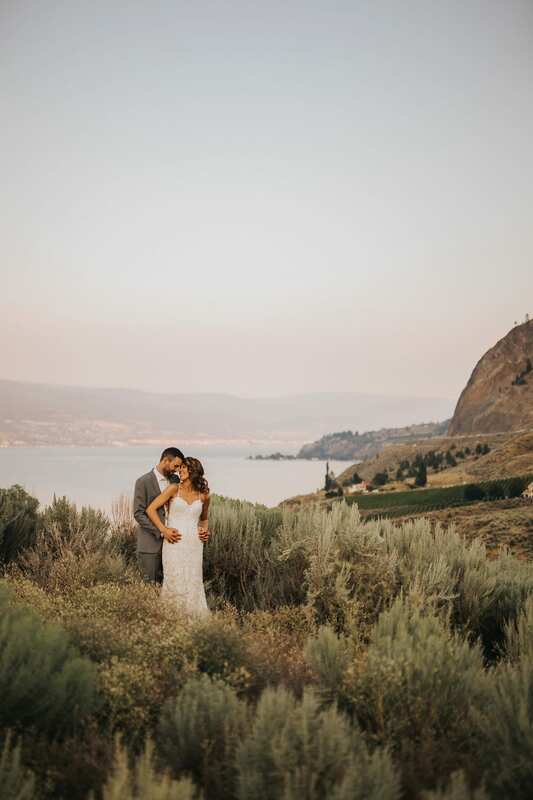 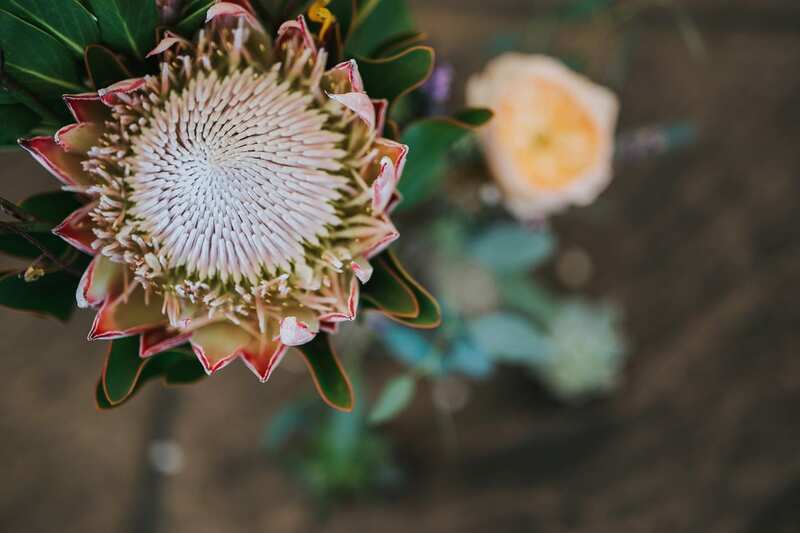 Check out Muareen + Bennet’s gorgeous Knox Mountain sunset engagement session HERE!